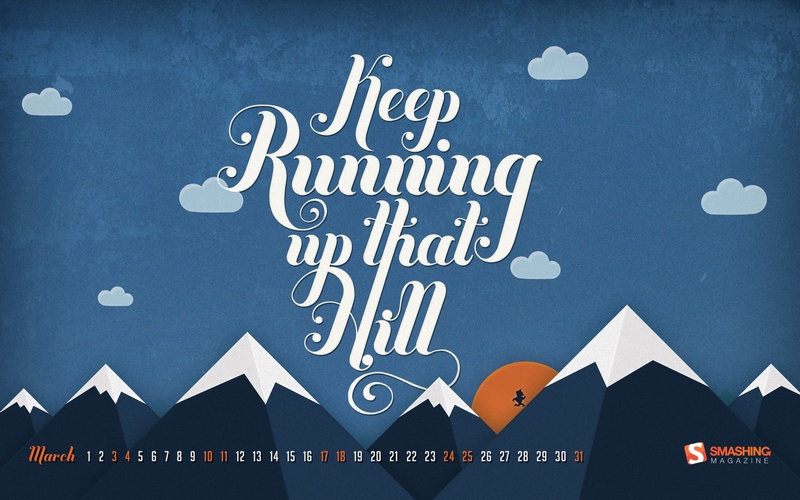 “Keep working towards that new years resolution! 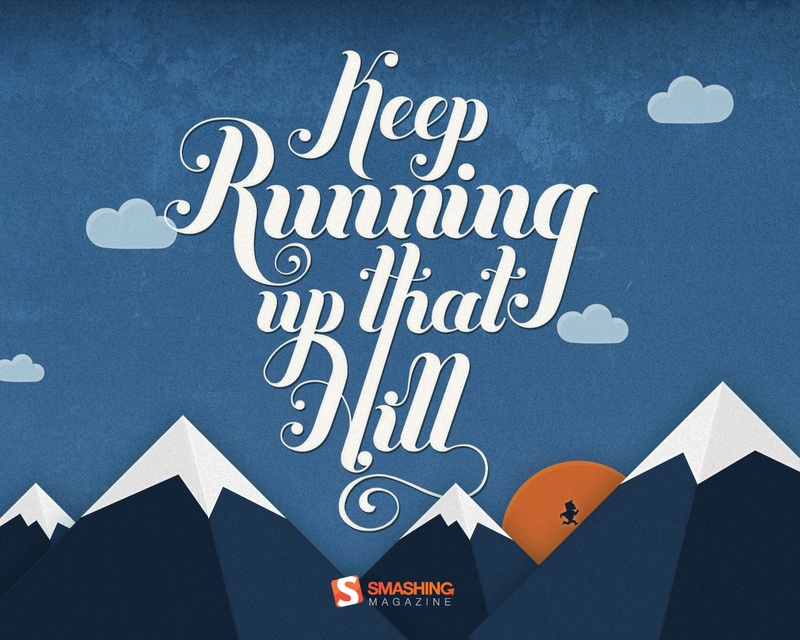 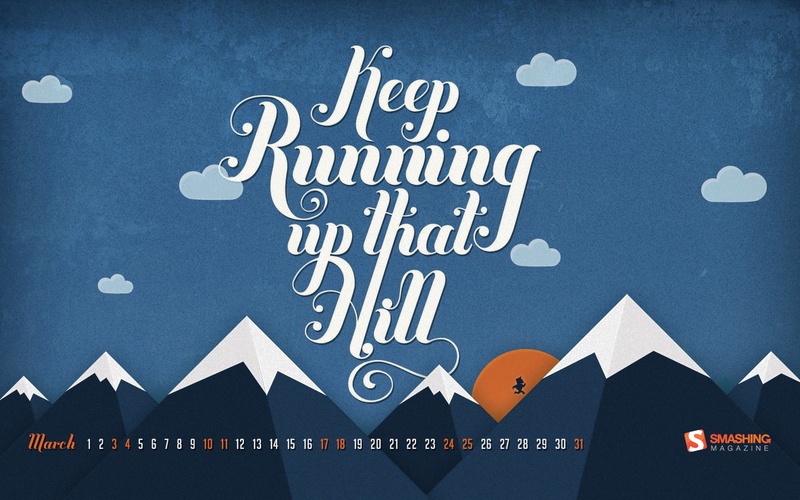 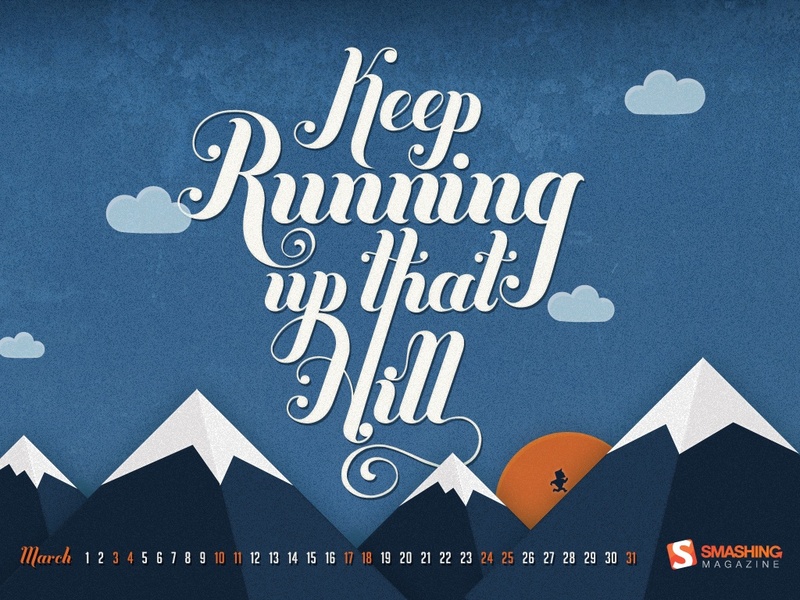 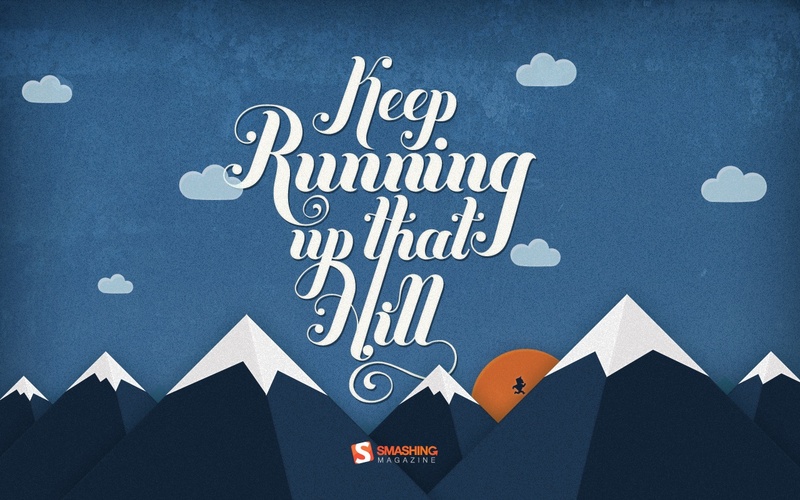 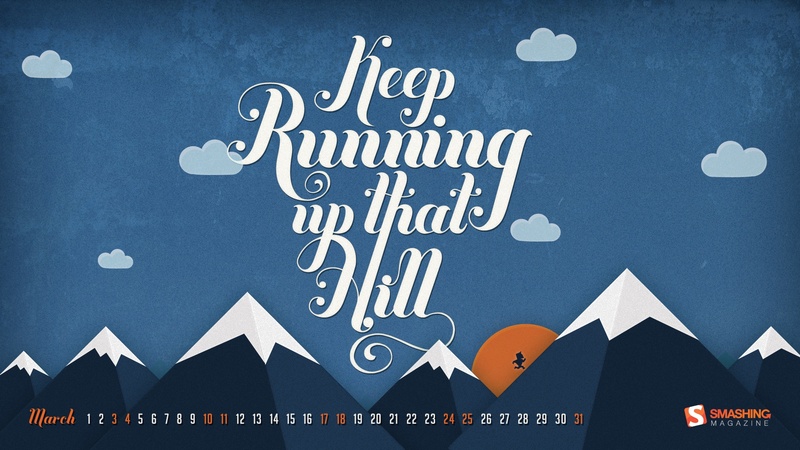 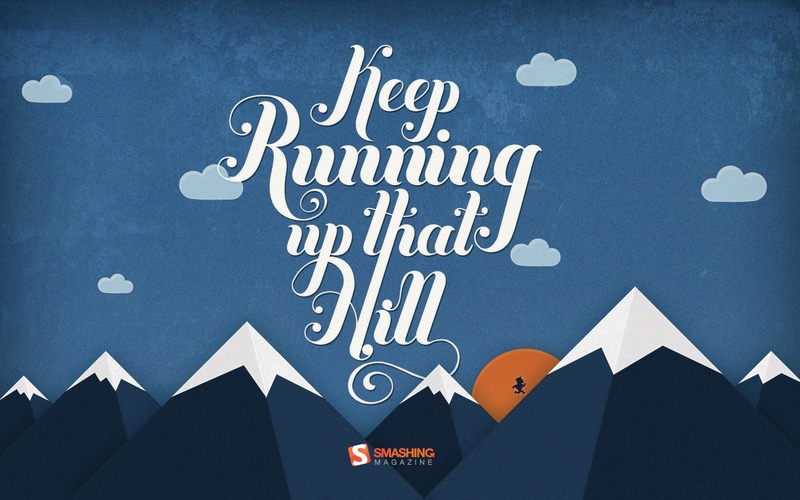 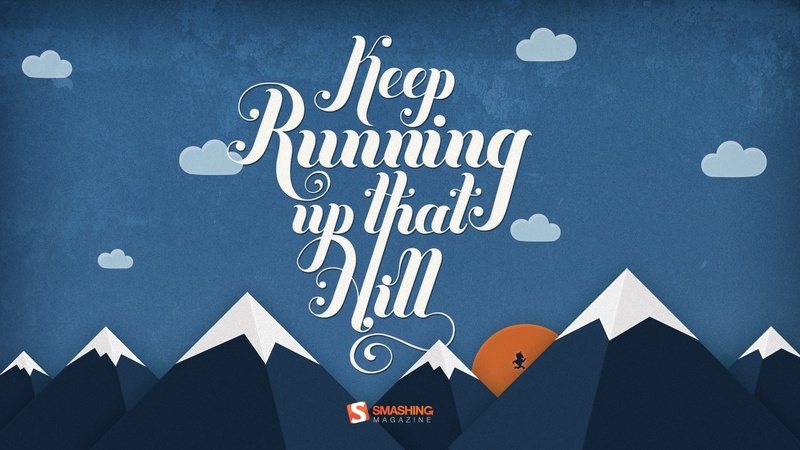 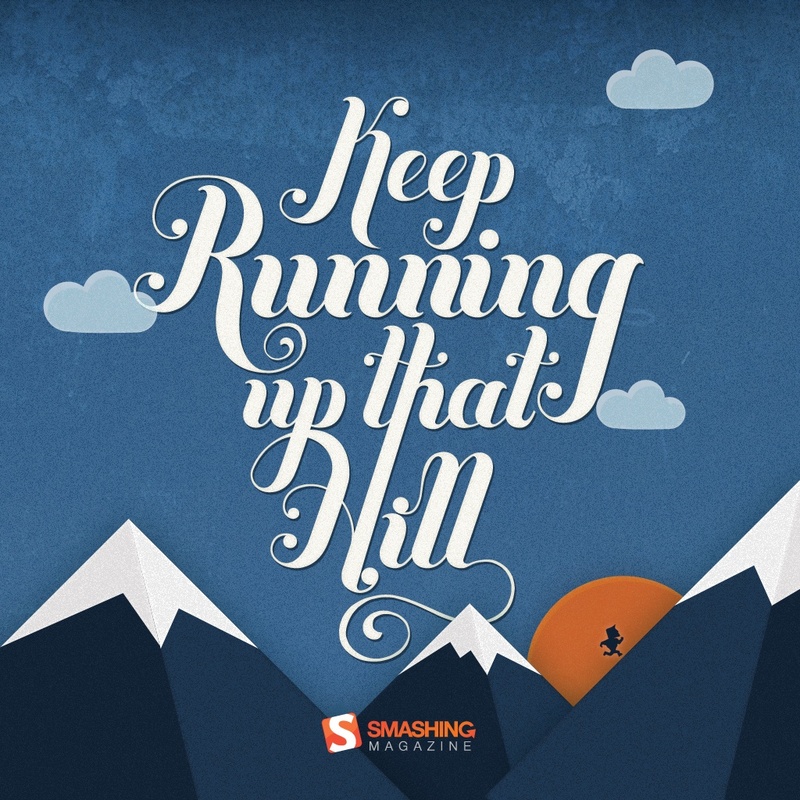 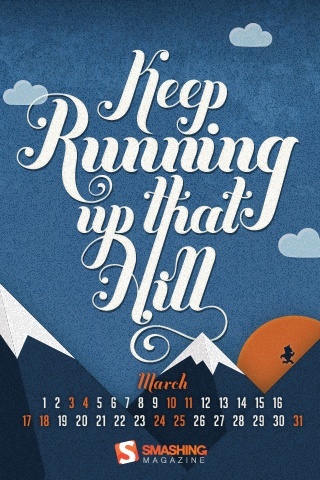 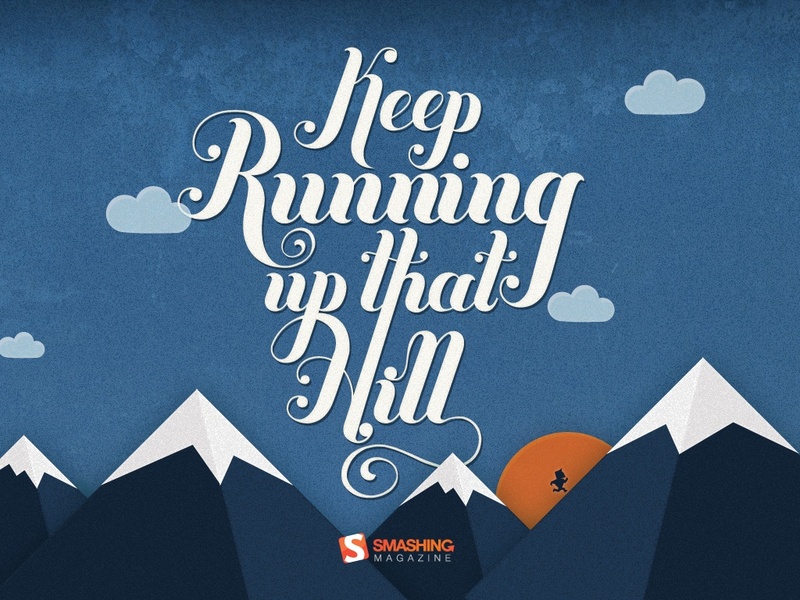 Be it getting a promotion, learning a skill or getting fit, whatever it is – keep running!” Designed by Andy Patrick from Canada. 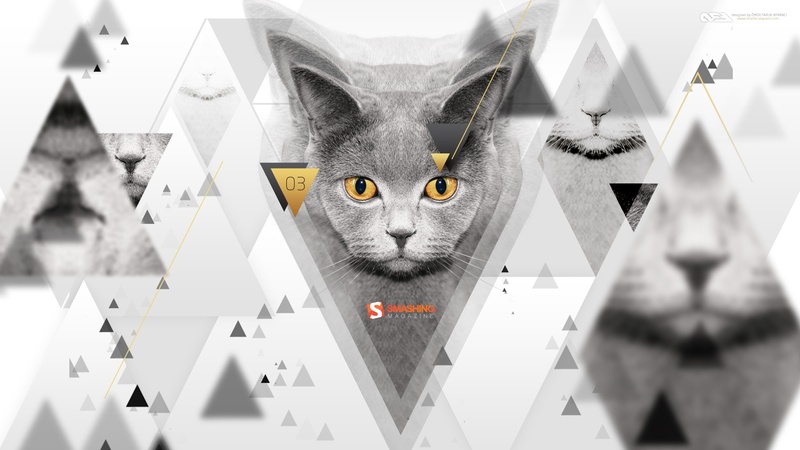 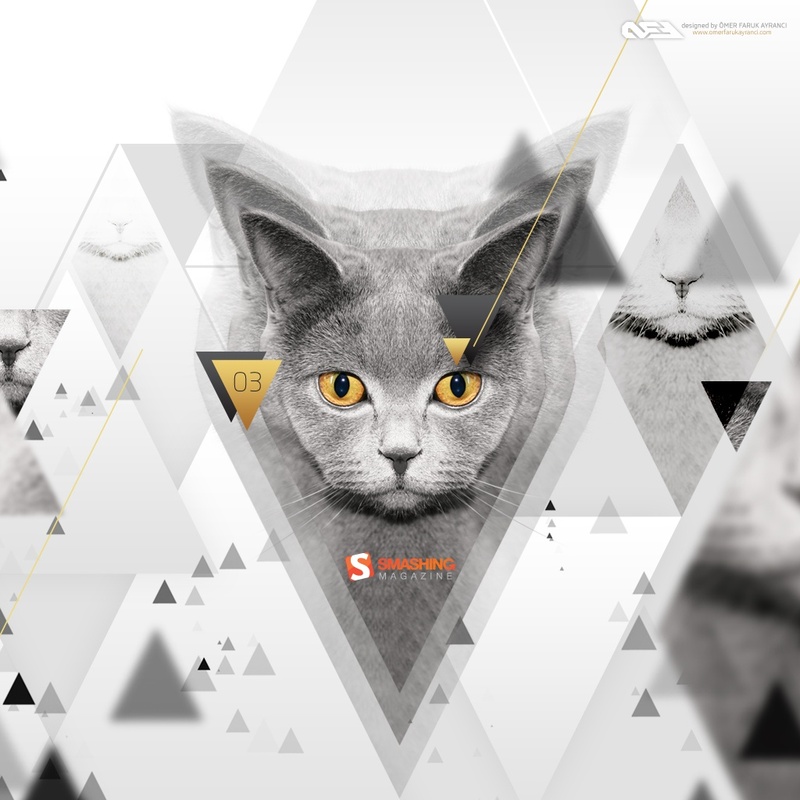 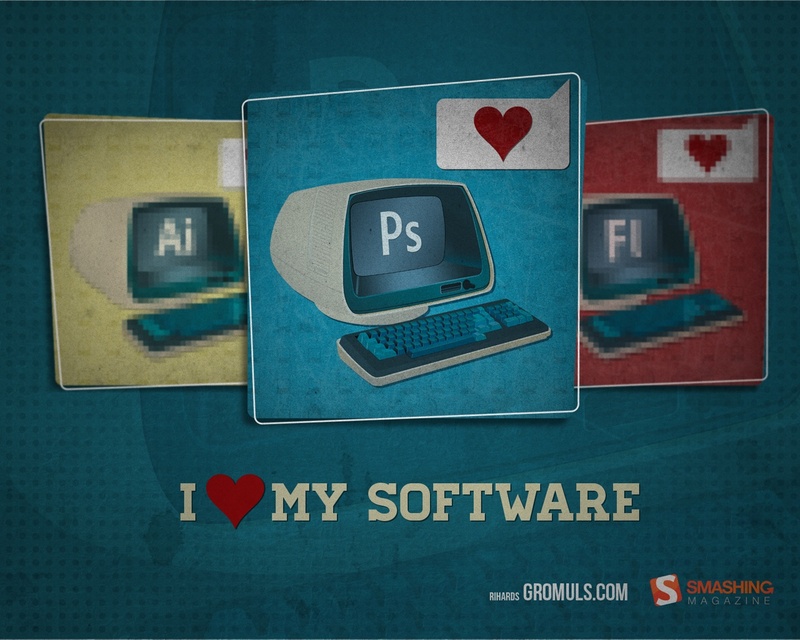 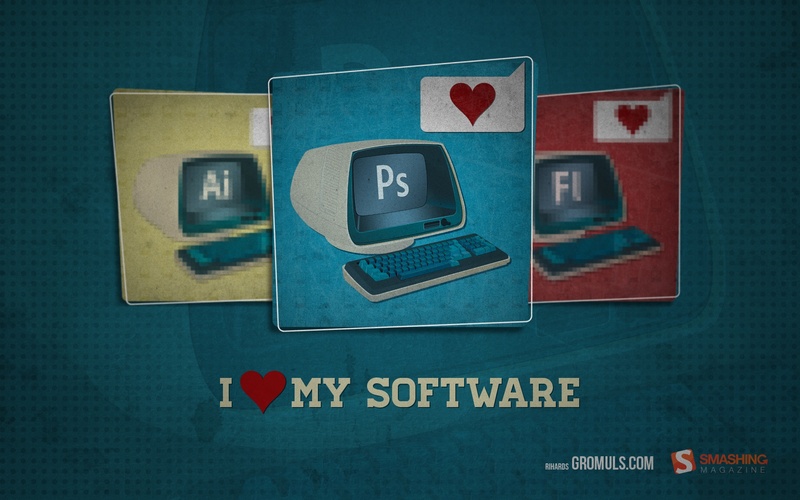 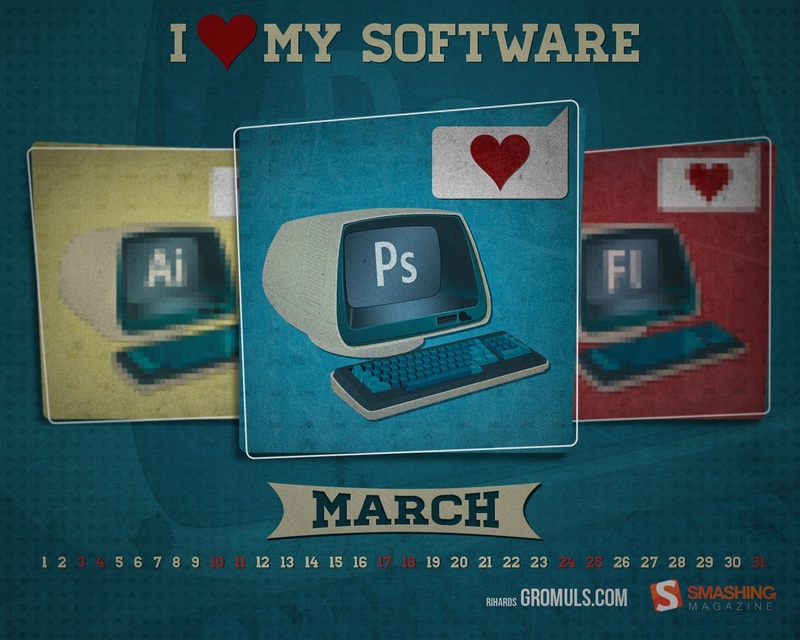 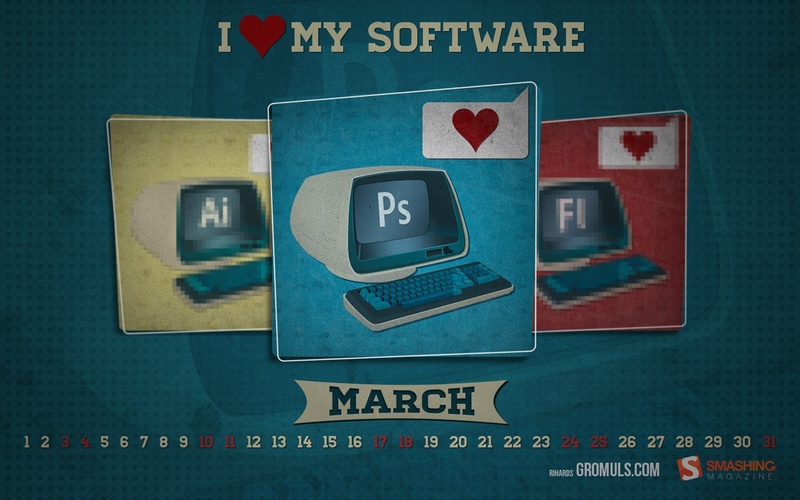 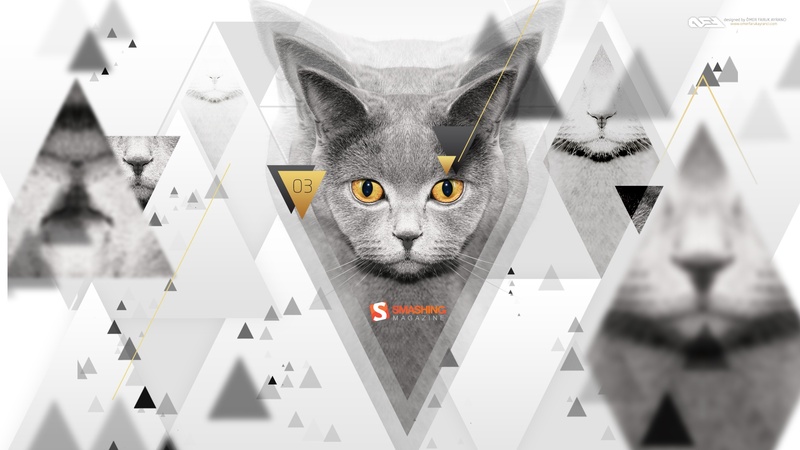 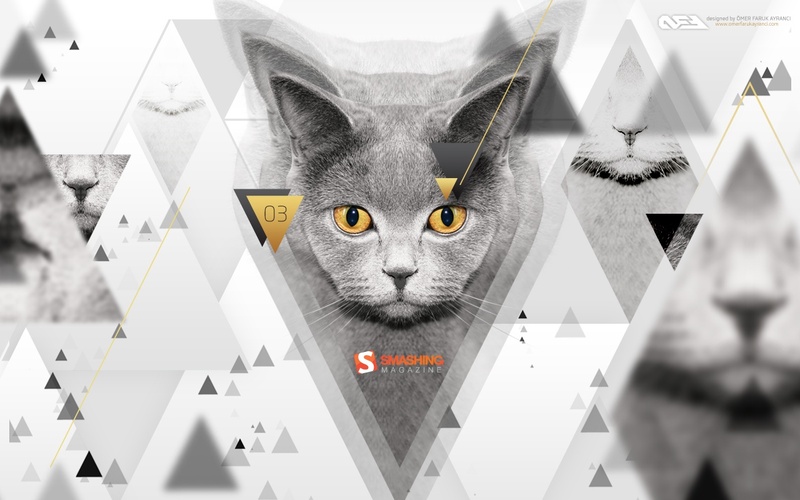 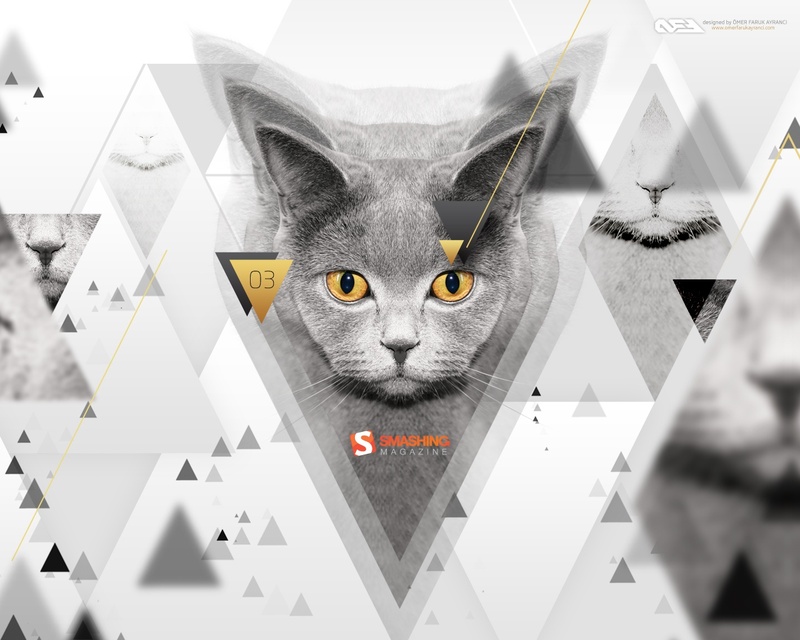 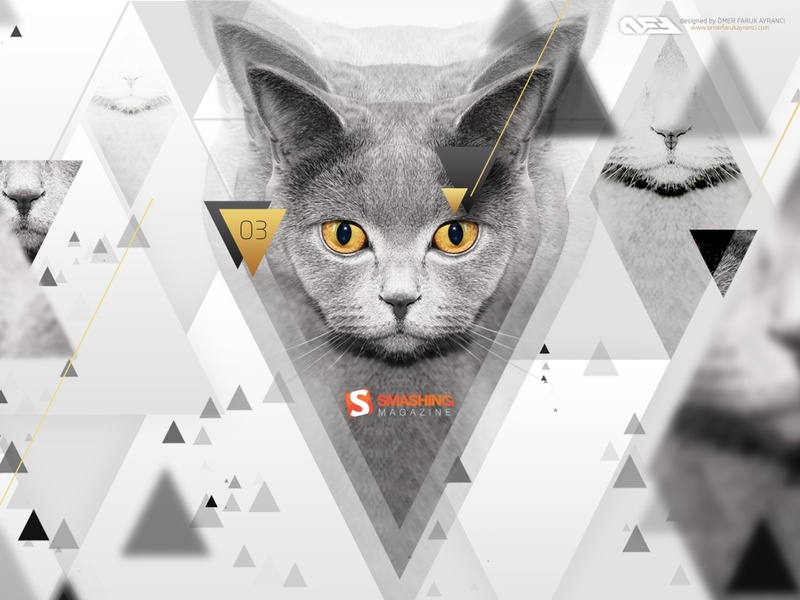 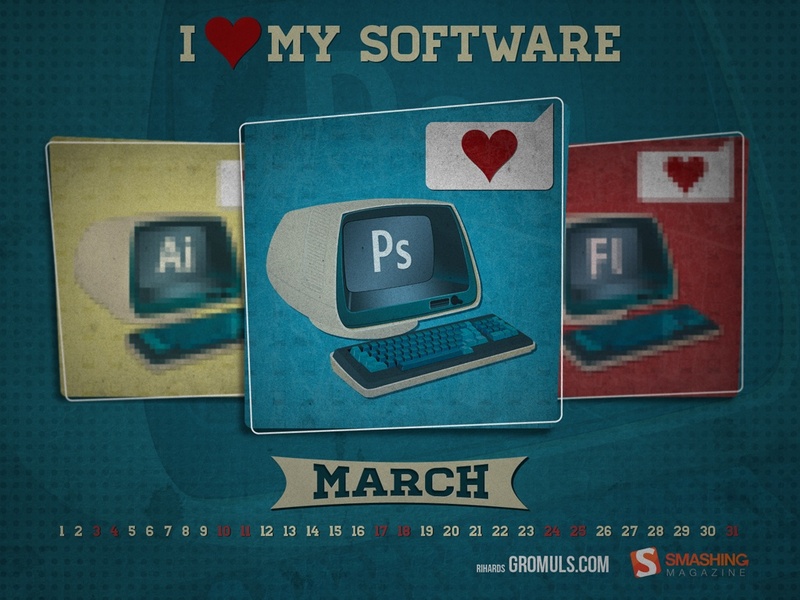 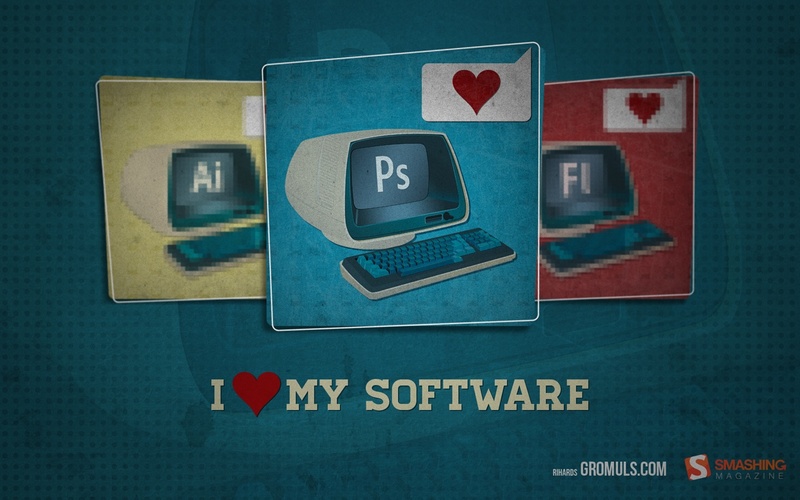 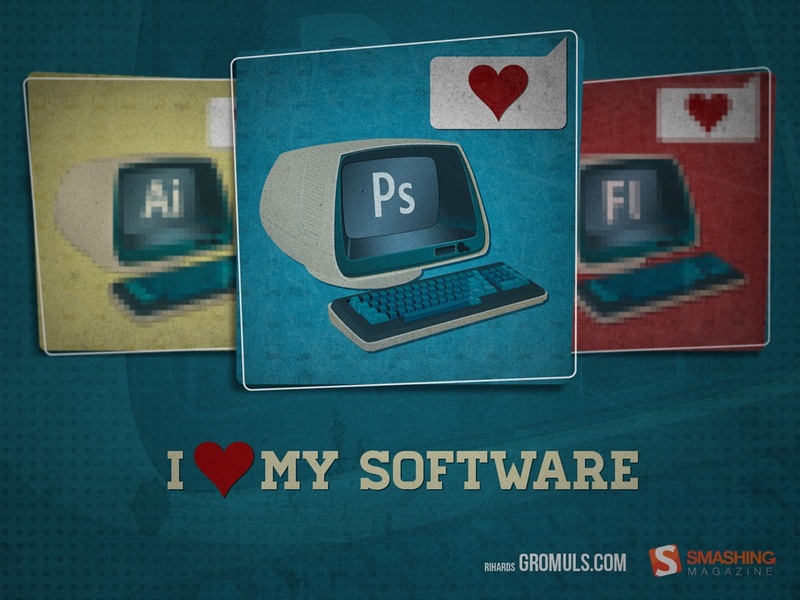 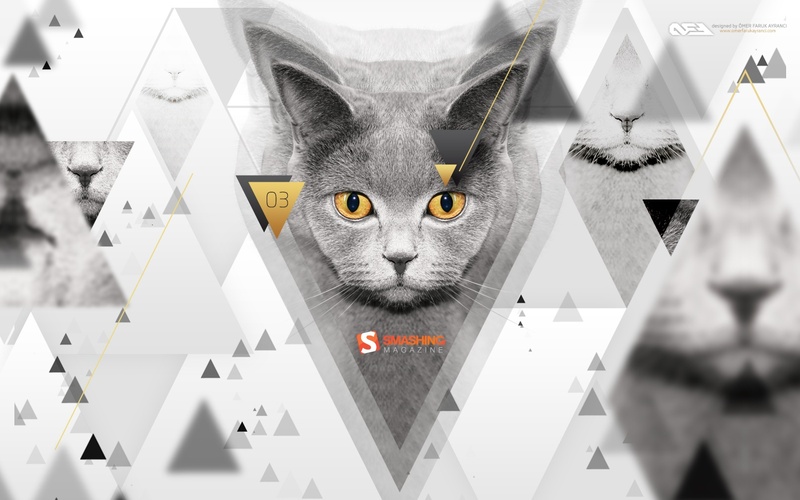 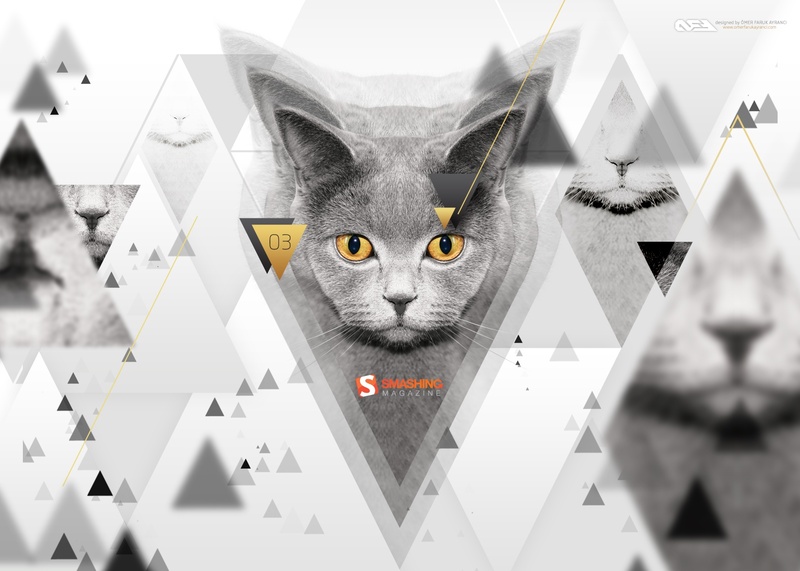 “Since it is my birthday this month, I decided to pay a little tribute to 3 softwares that pay my bills and have had made my a job a pleasure to be at :).” Designed by Rihards Gromuls from Latvia. 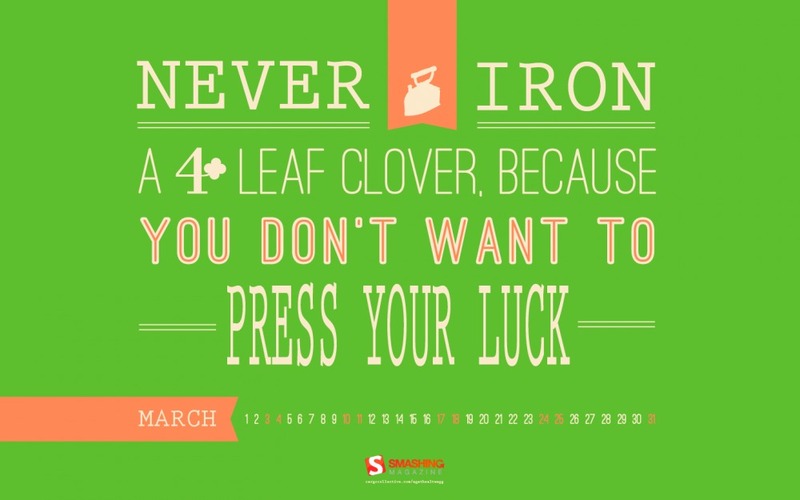 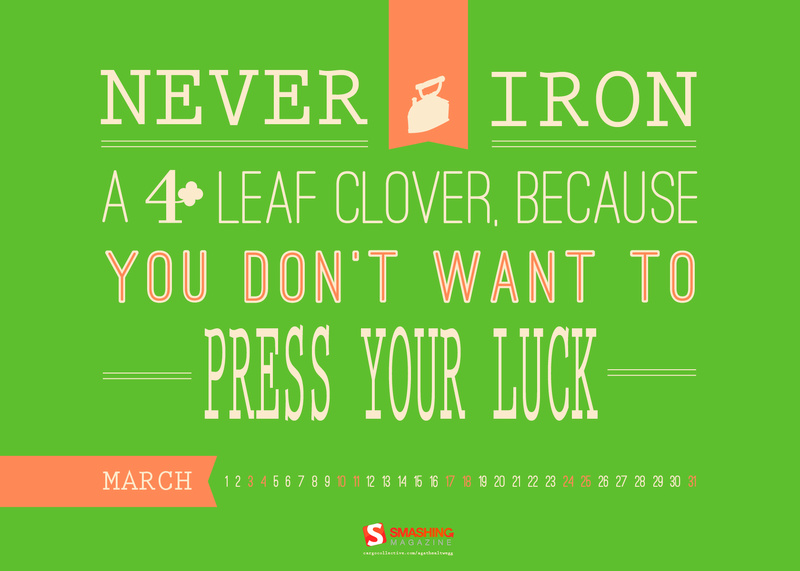 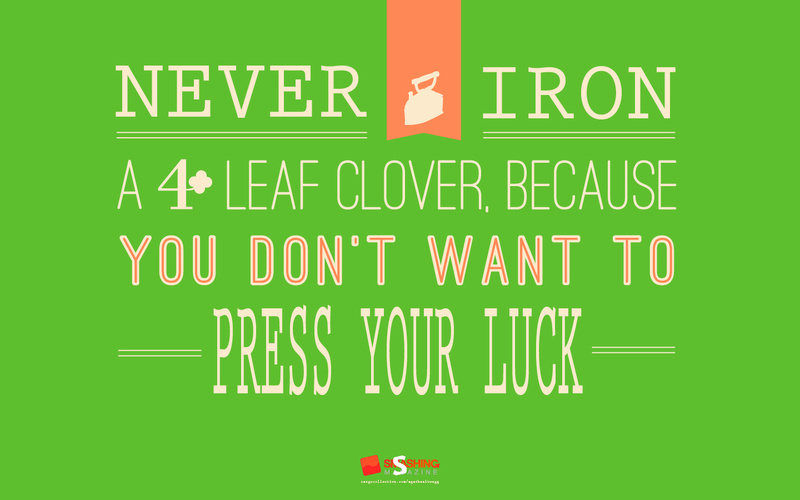 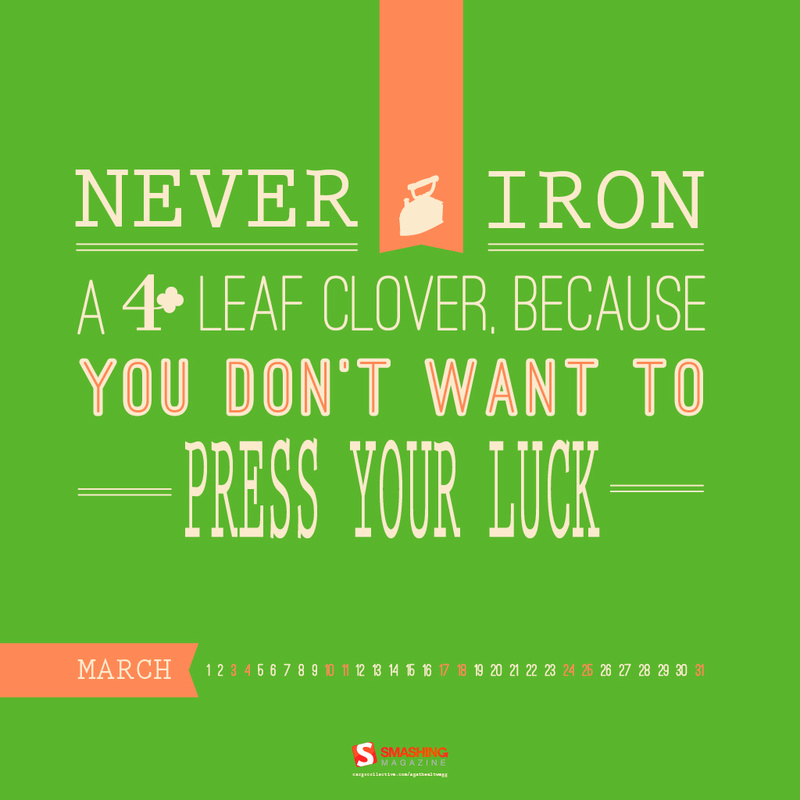 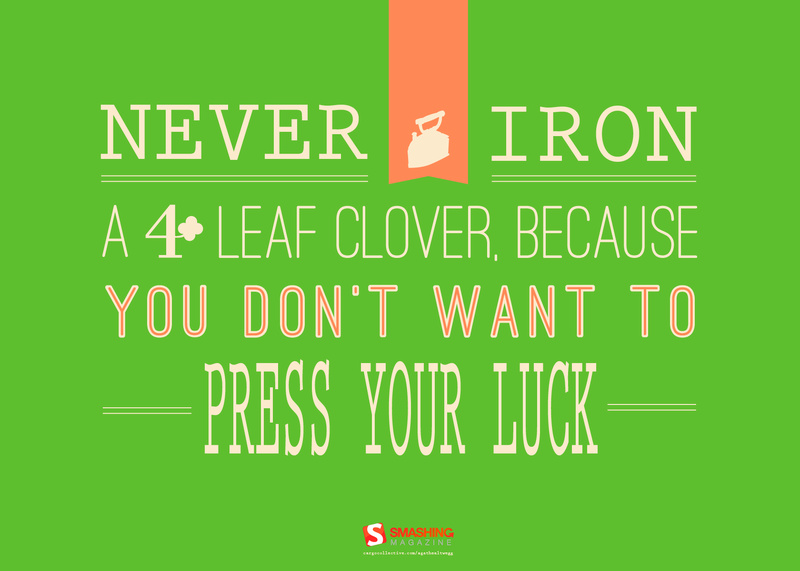 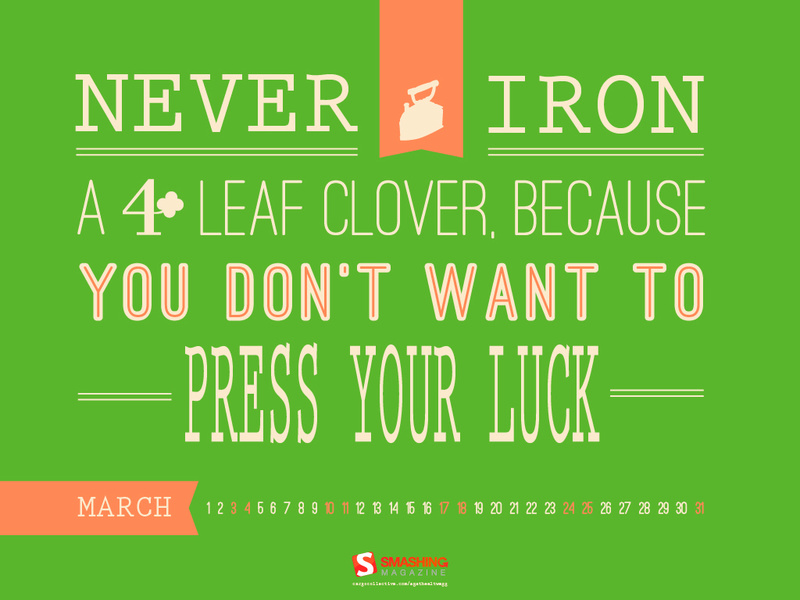 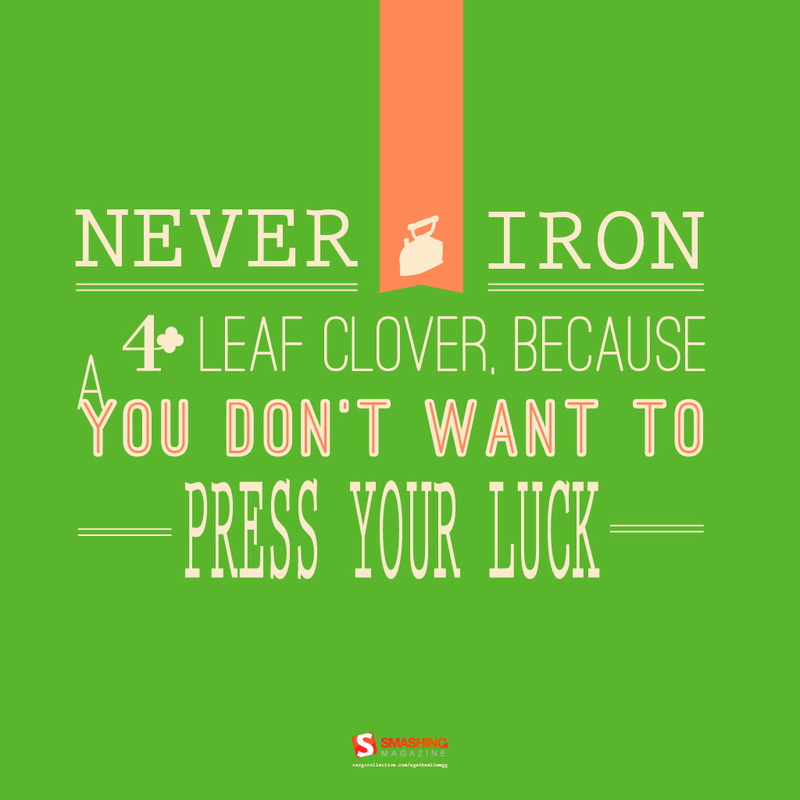 “A lucky Irish saying to make you go through St. Patrick’s month.” Designed by Agathe Altwegg from France. Designed by Virginia Saint from USA. 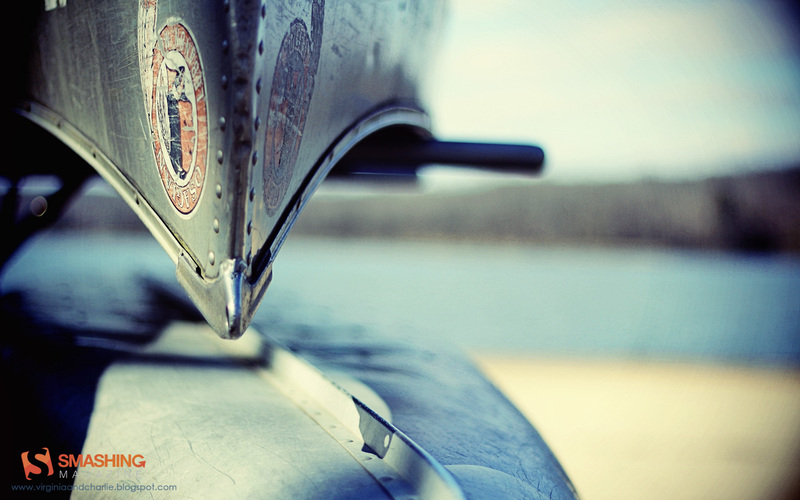 Designed by George Kasapis from Cyprus. 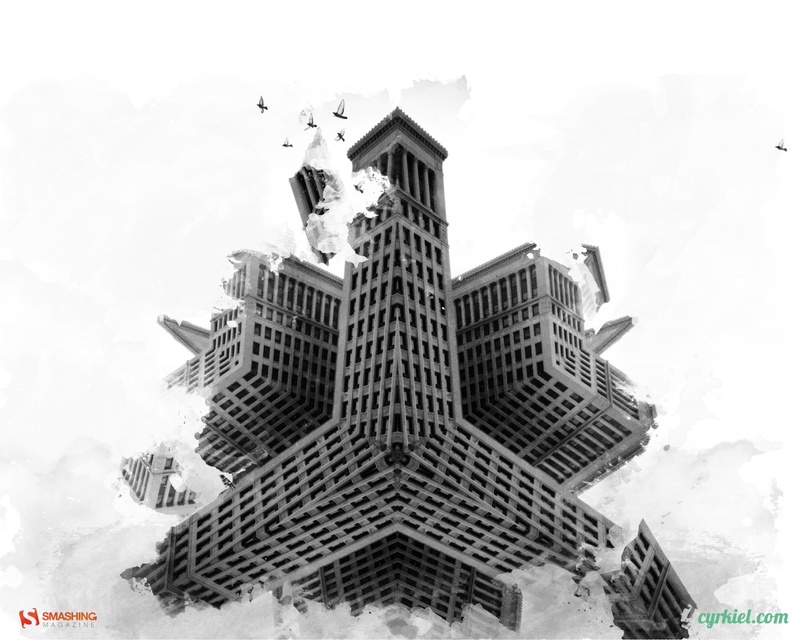 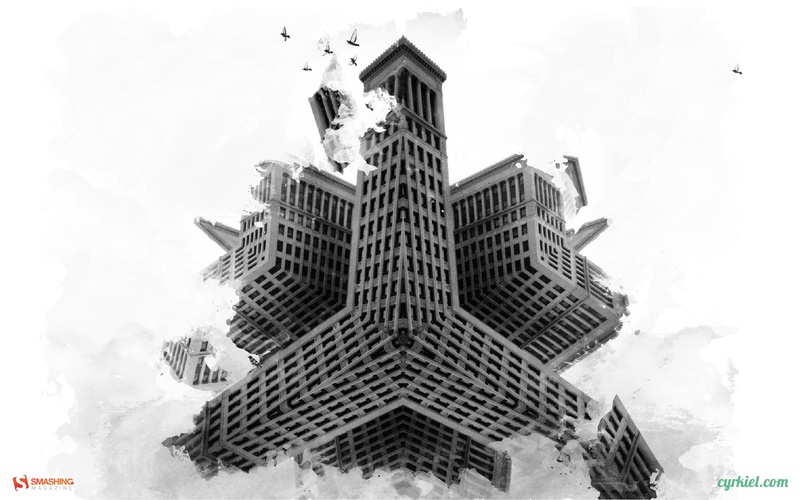 Designed by Omer Faruk Ayranci from Turkey. 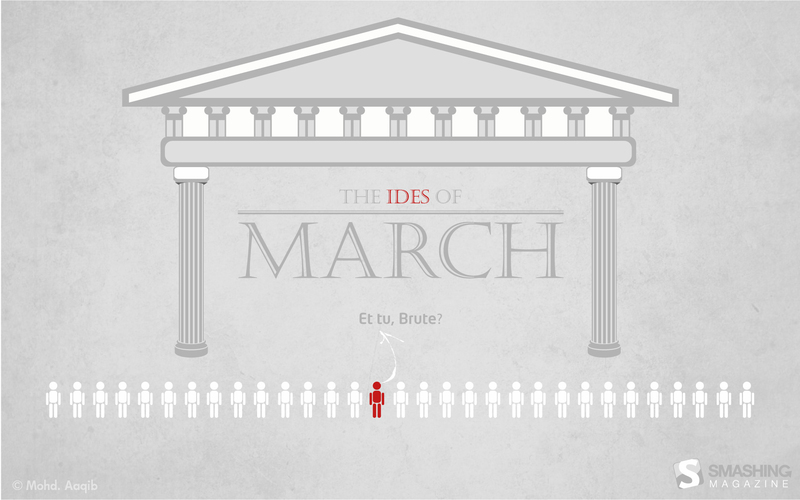 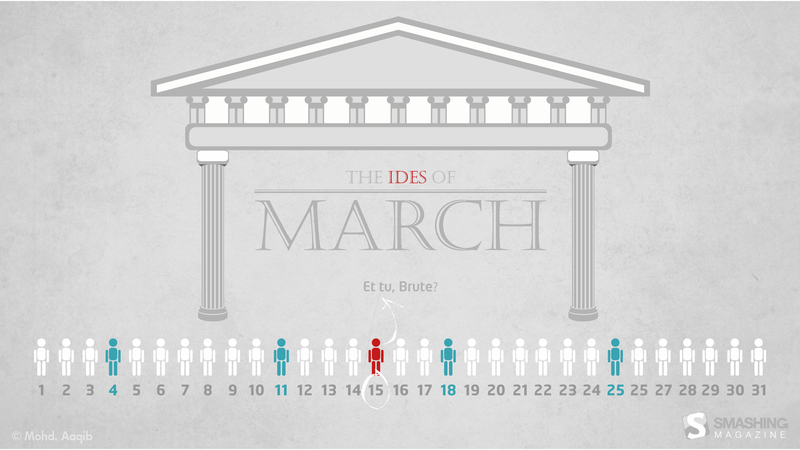 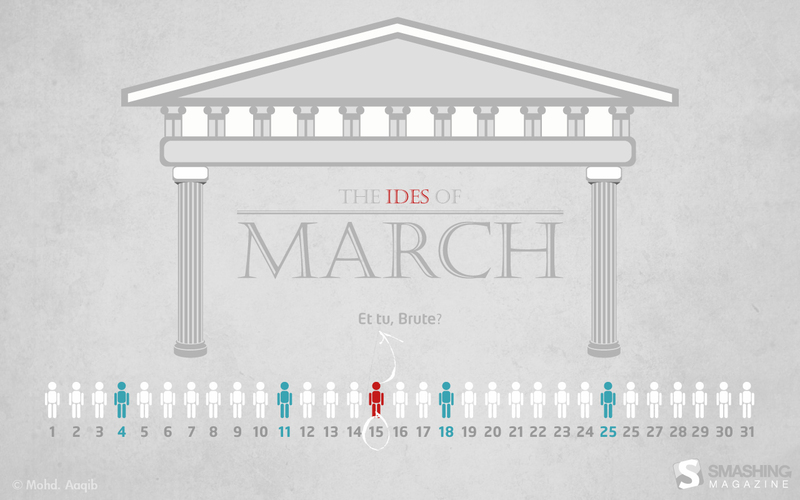 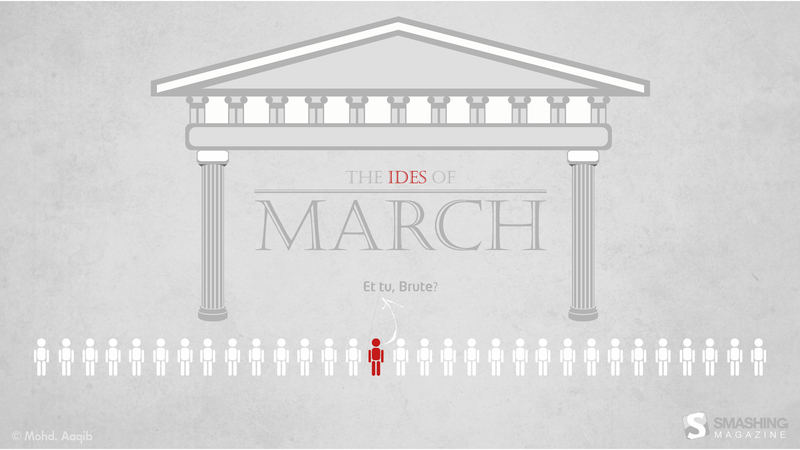 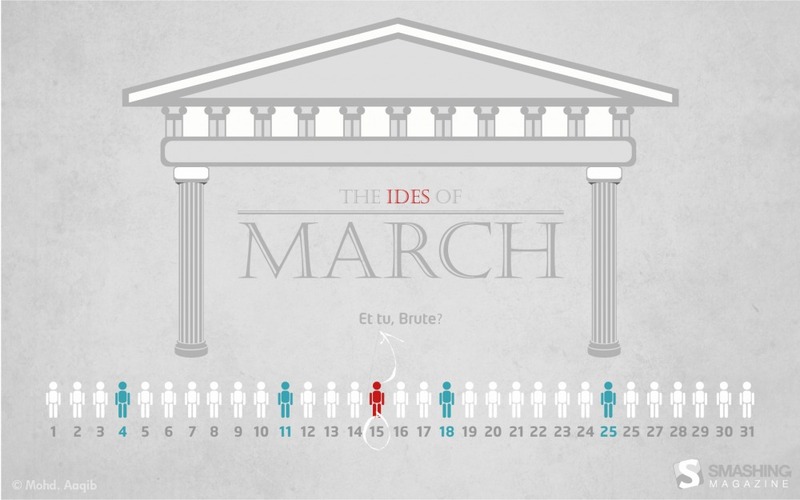 “This is inspired by the play “Julius Caesar” by William Shakespeare, that I read a few years ago in school.” Designed by Mohammed Aaqib from India. 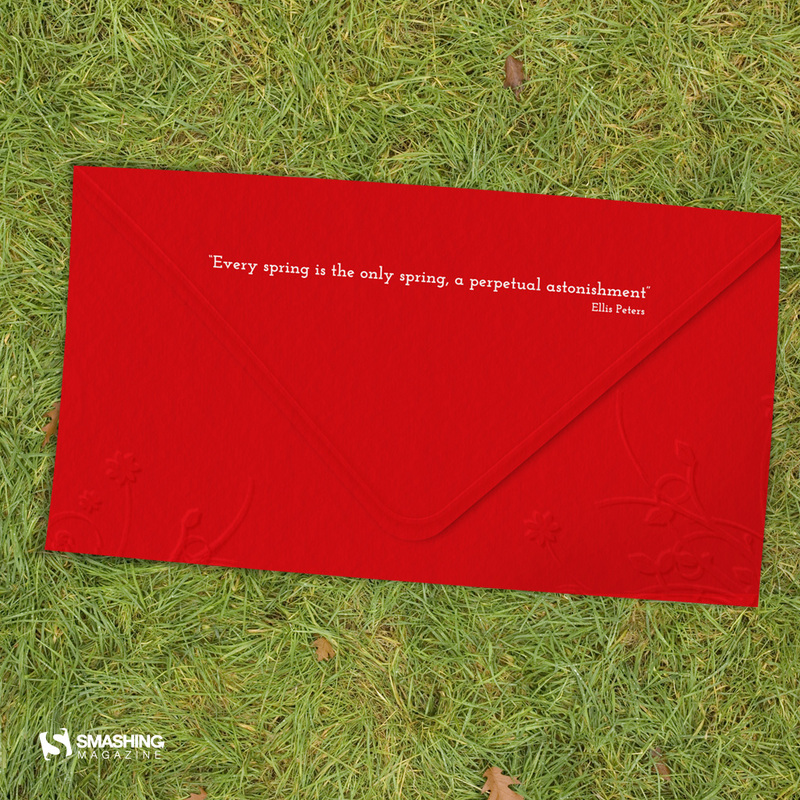 “As days are getting longer again and the first few flowers start to bloom, we are all waiting for Spring to finally arrive. 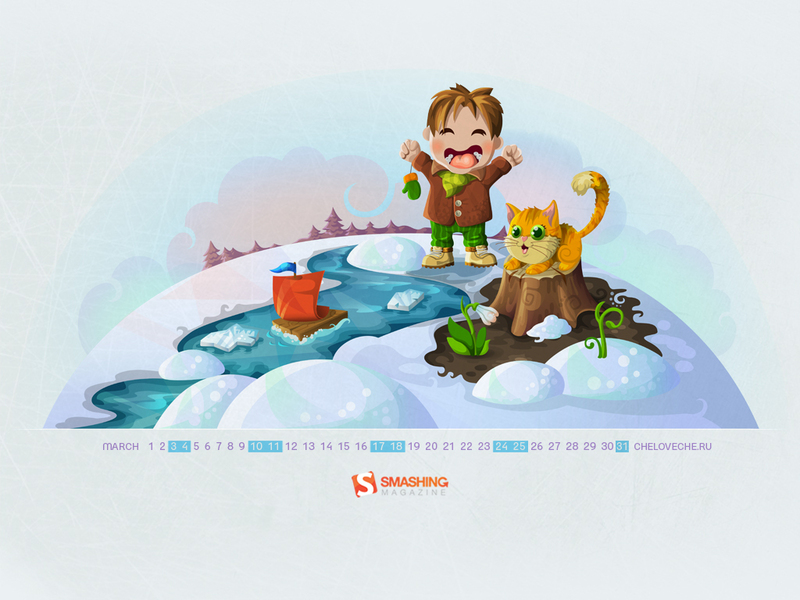 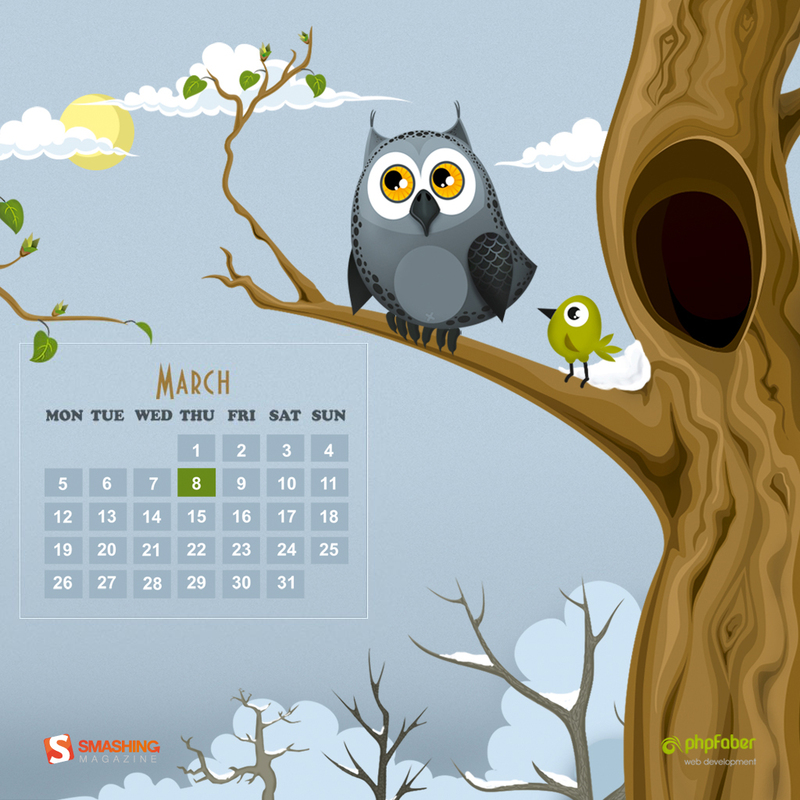 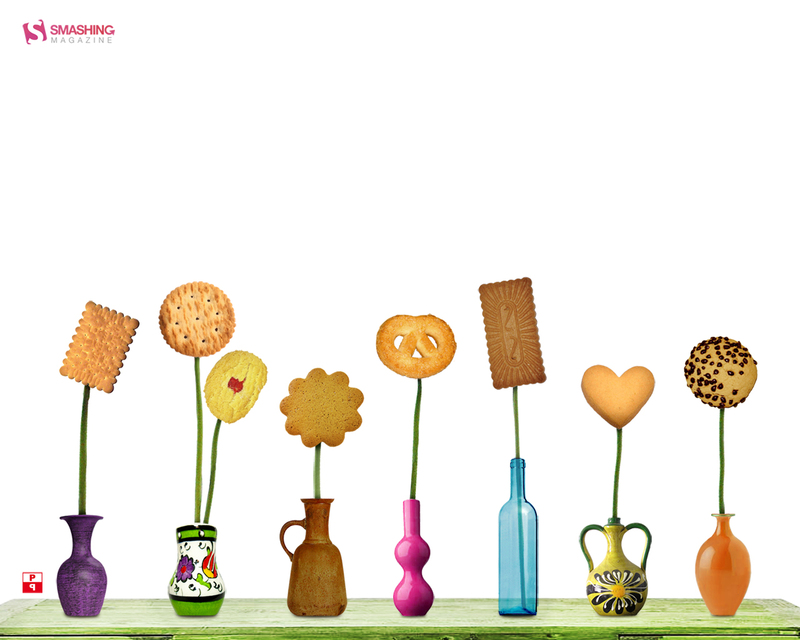 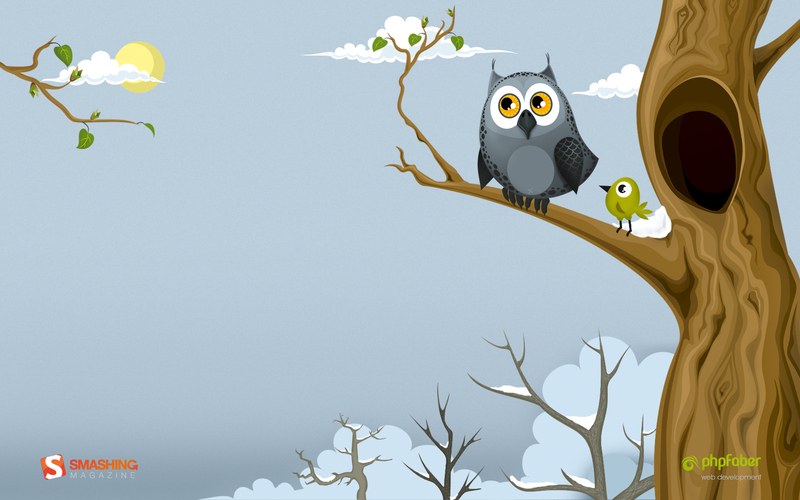 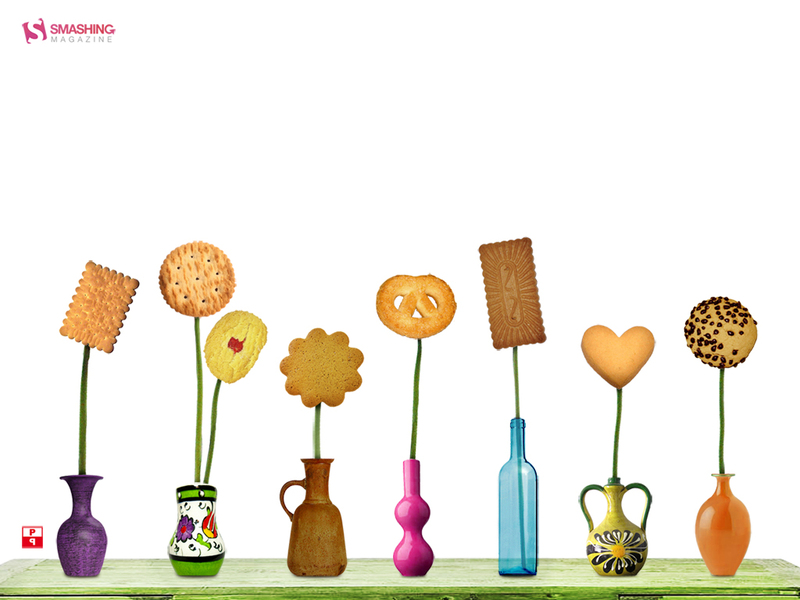 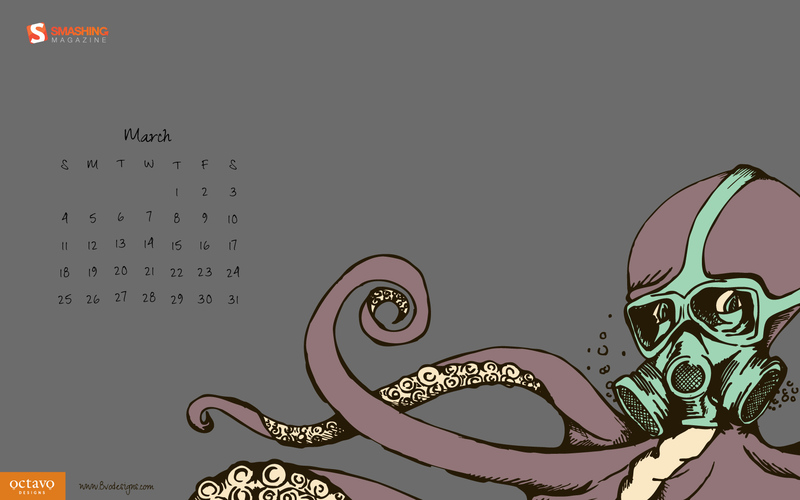 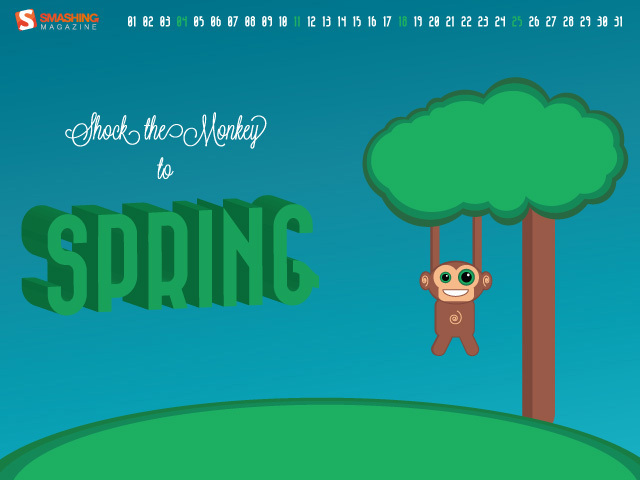 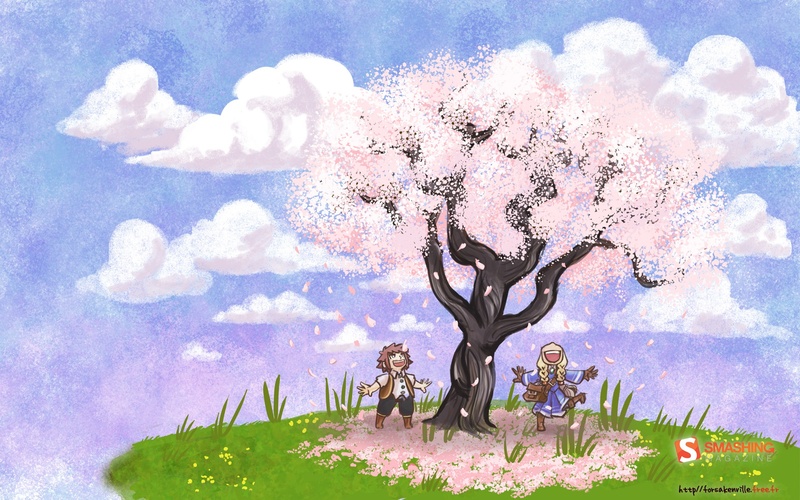 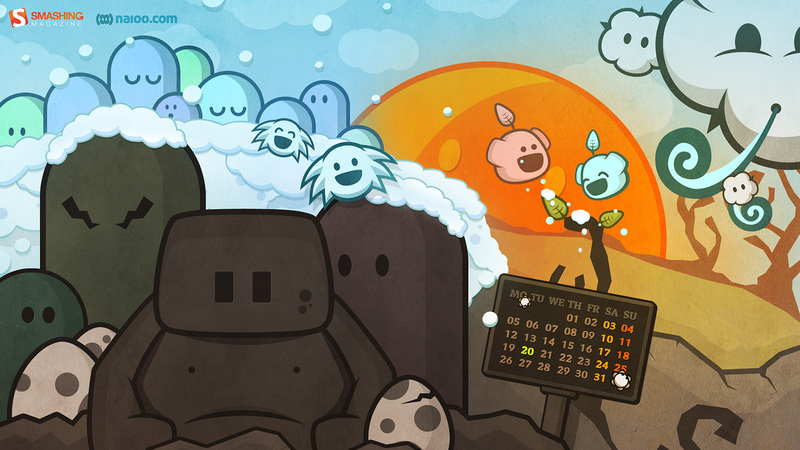 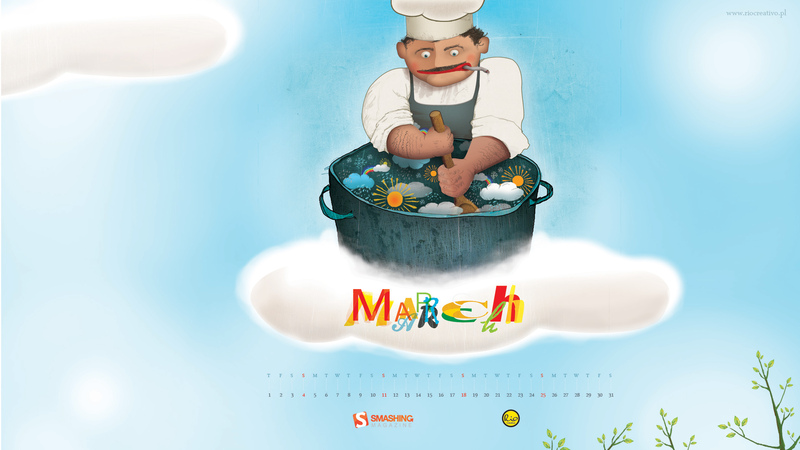 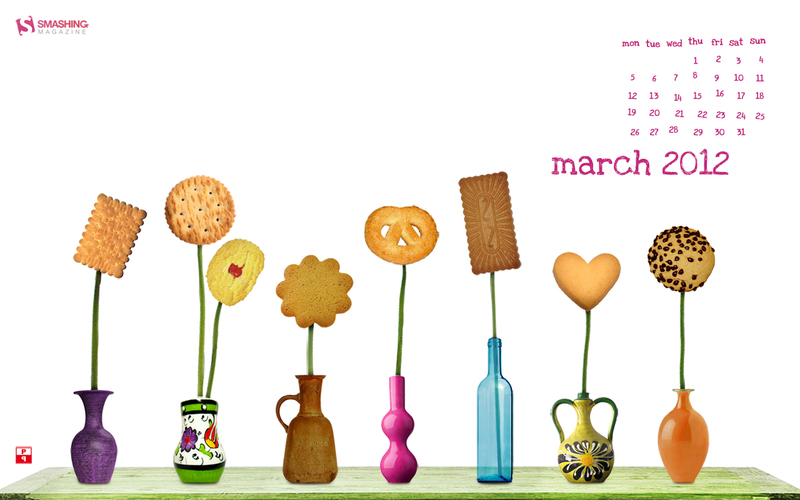 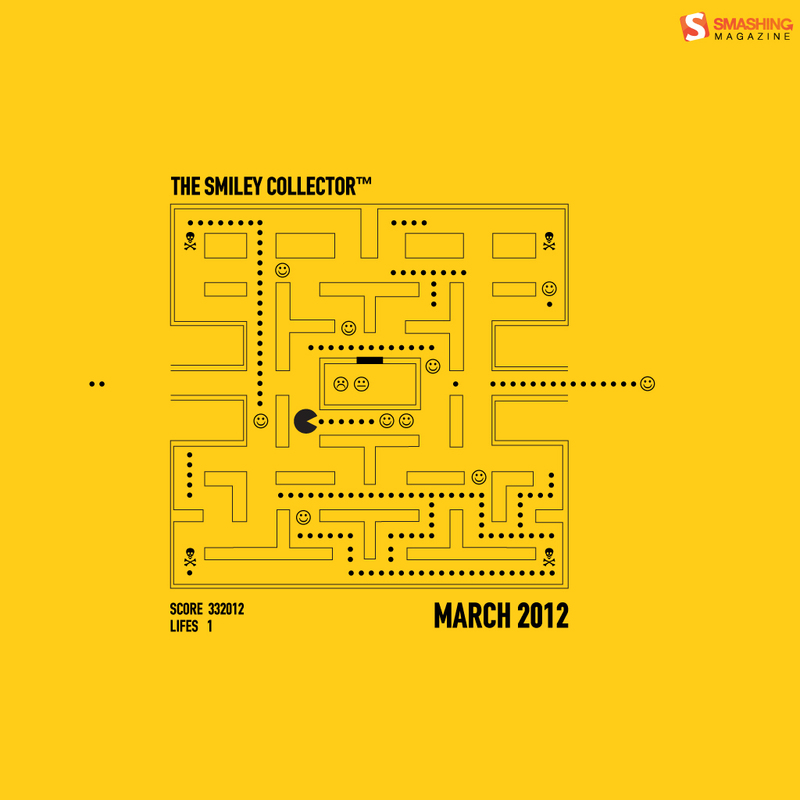 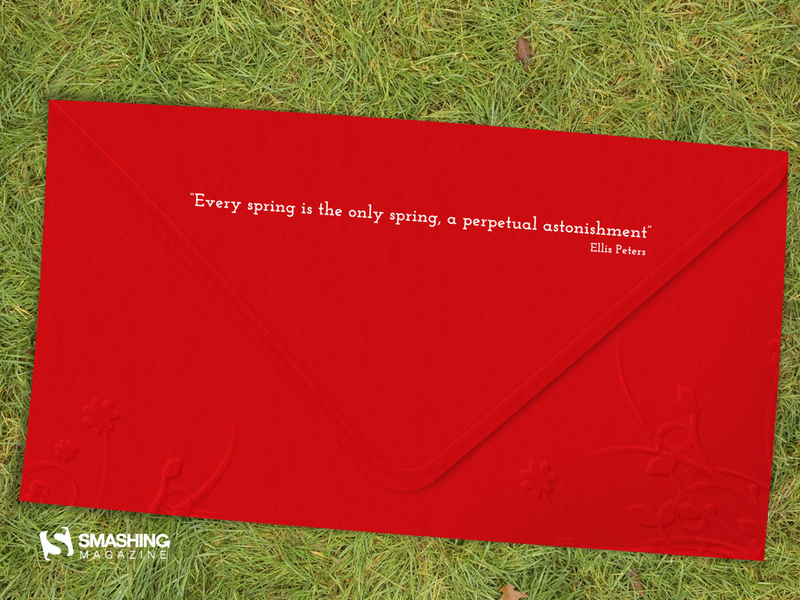 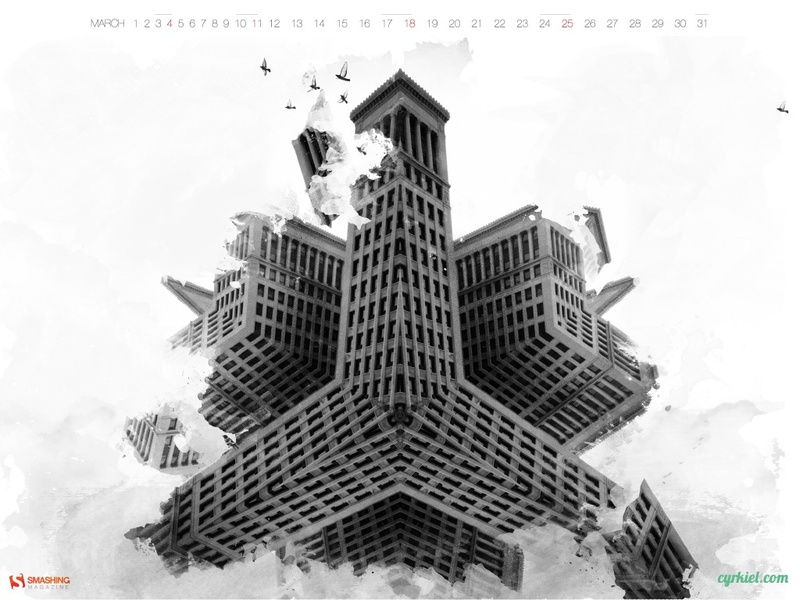 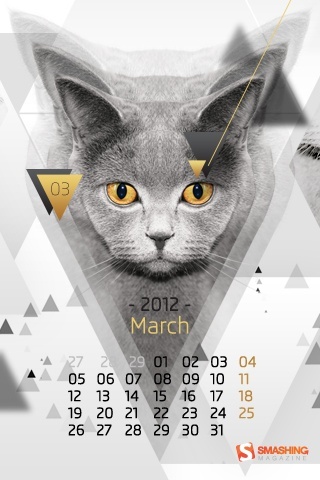 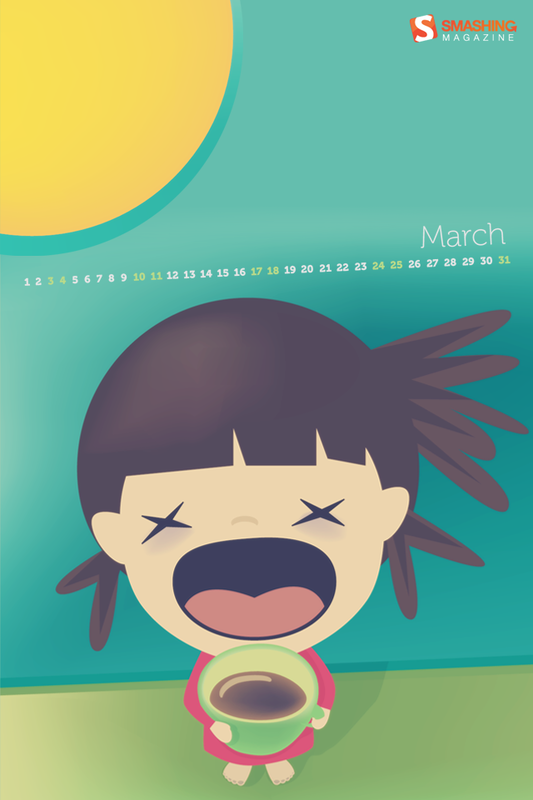 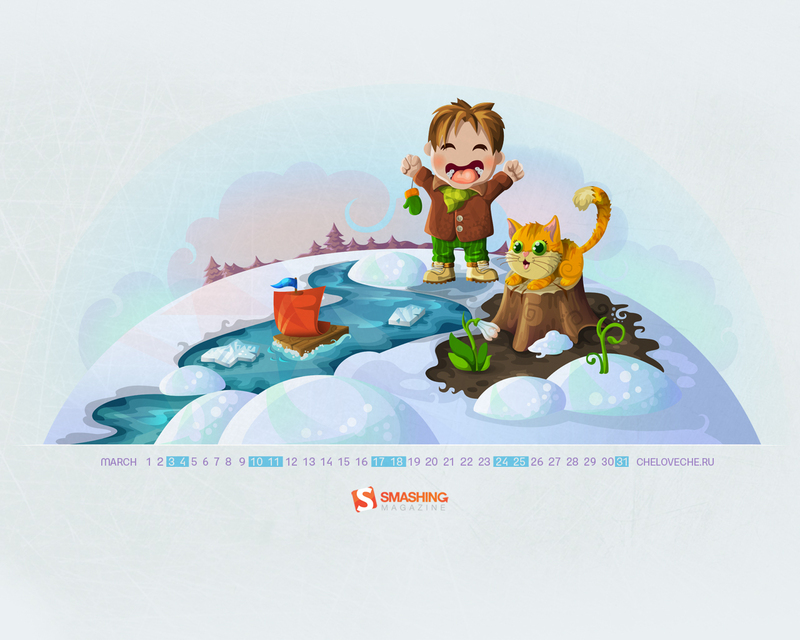 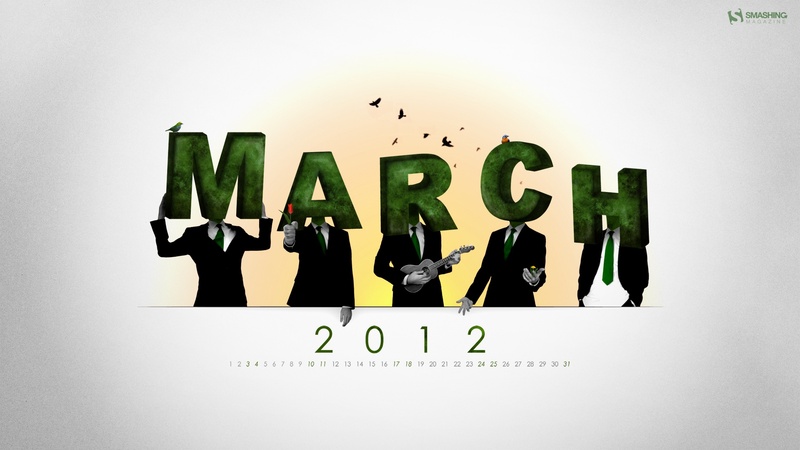 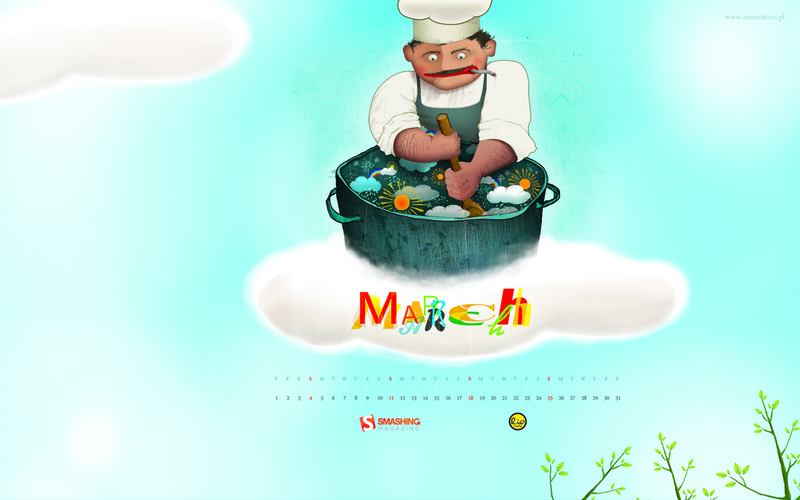 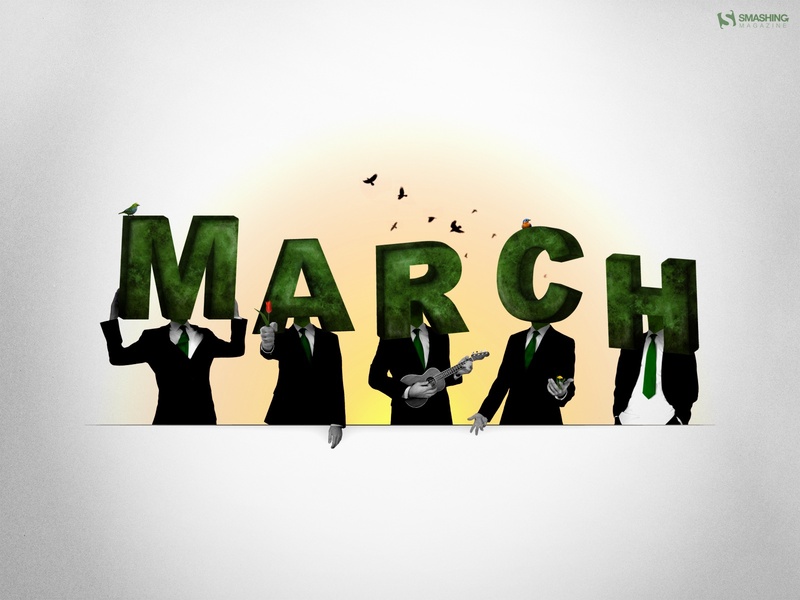 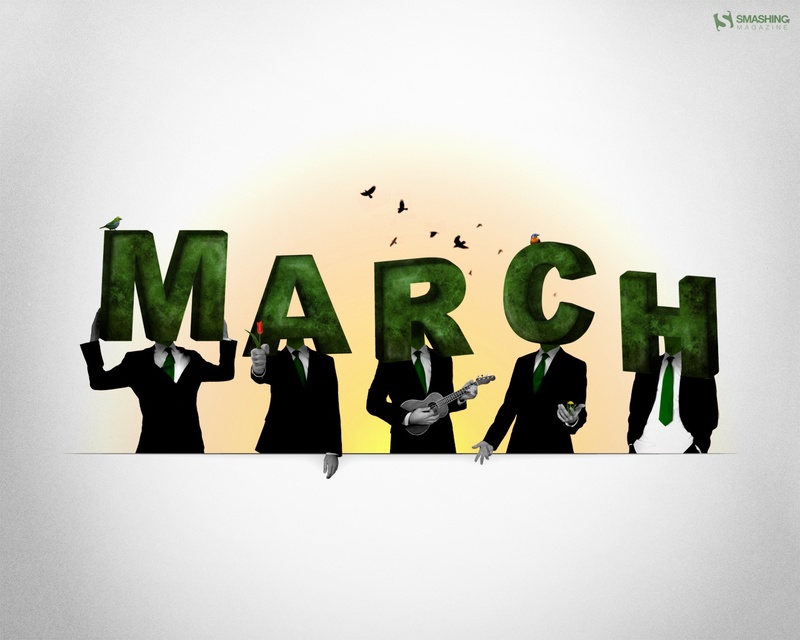 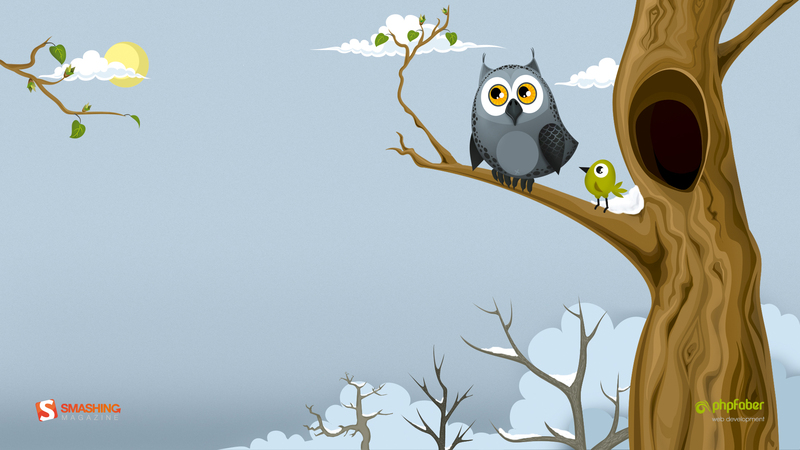 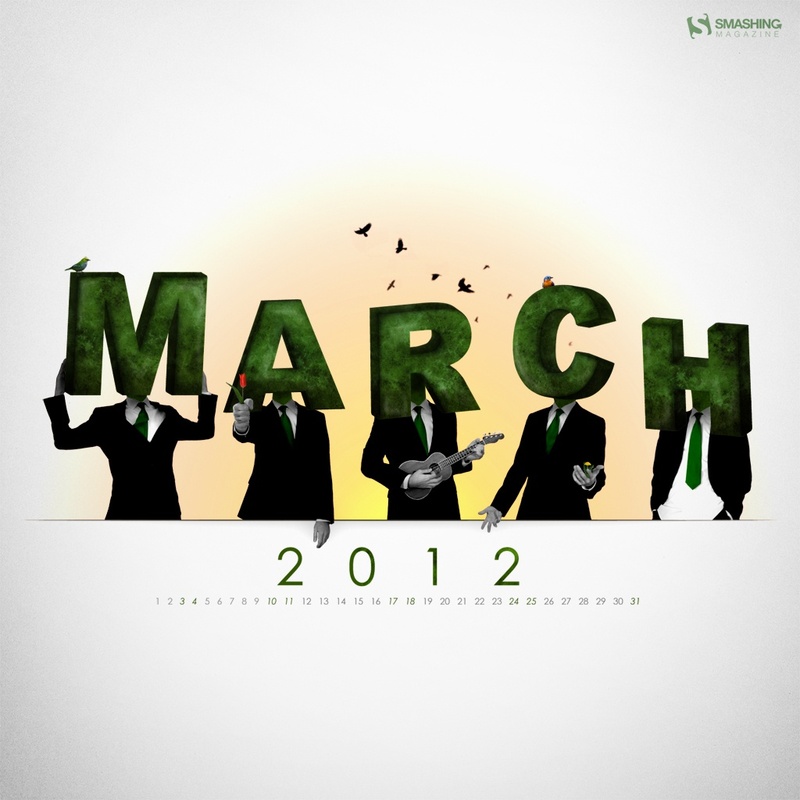 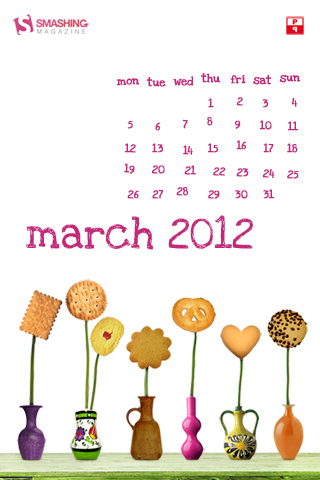 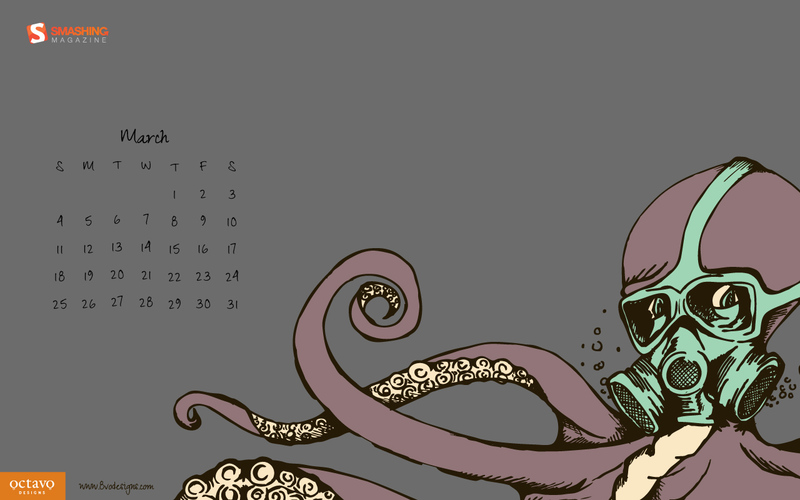 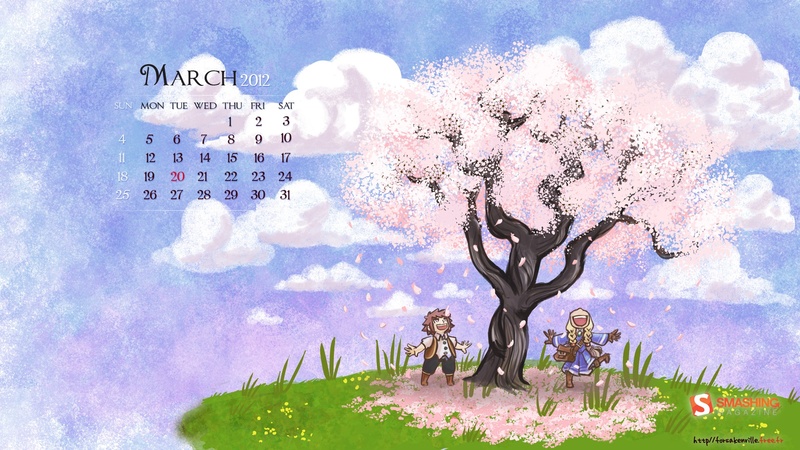 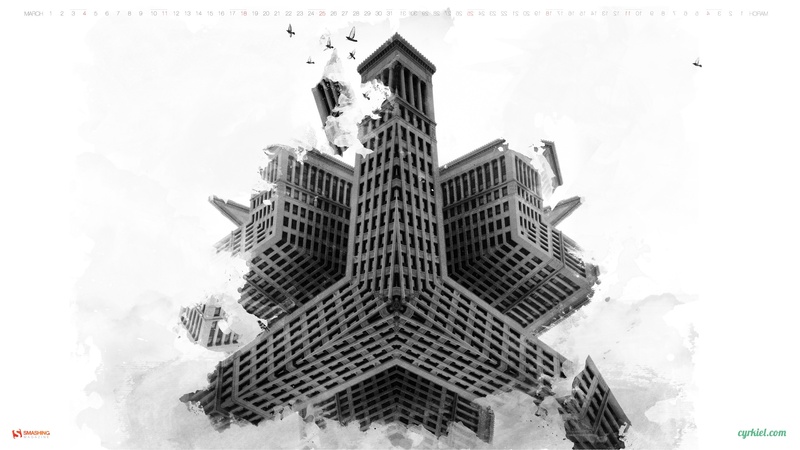 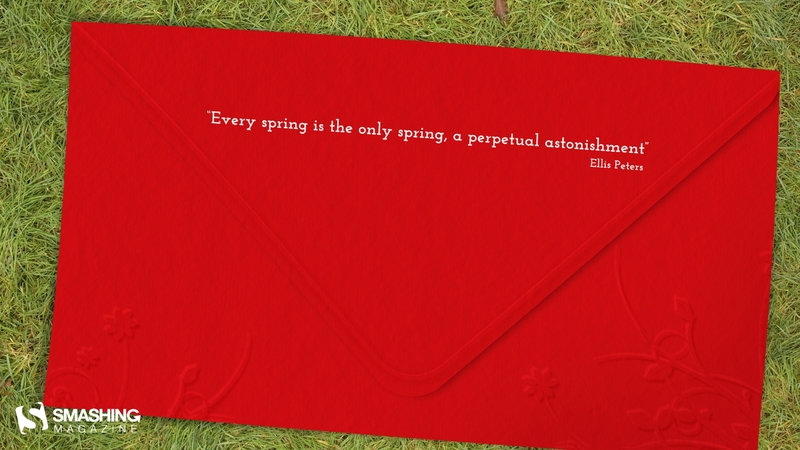 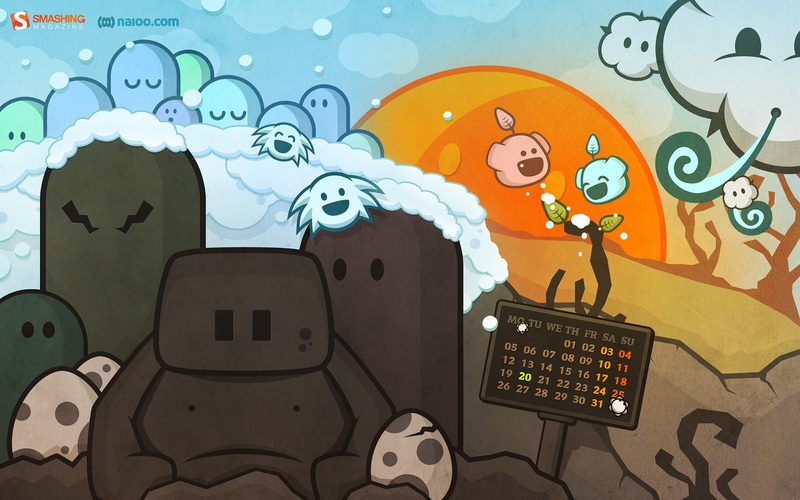 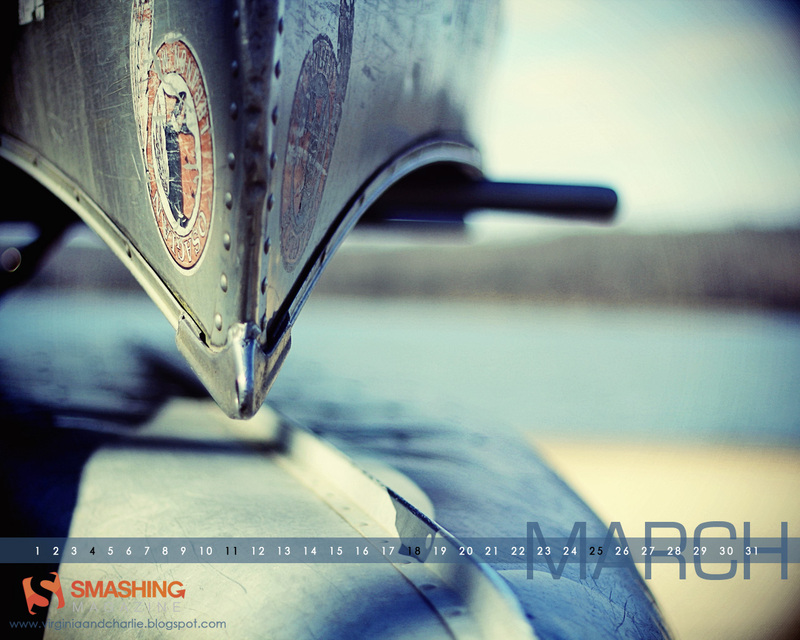 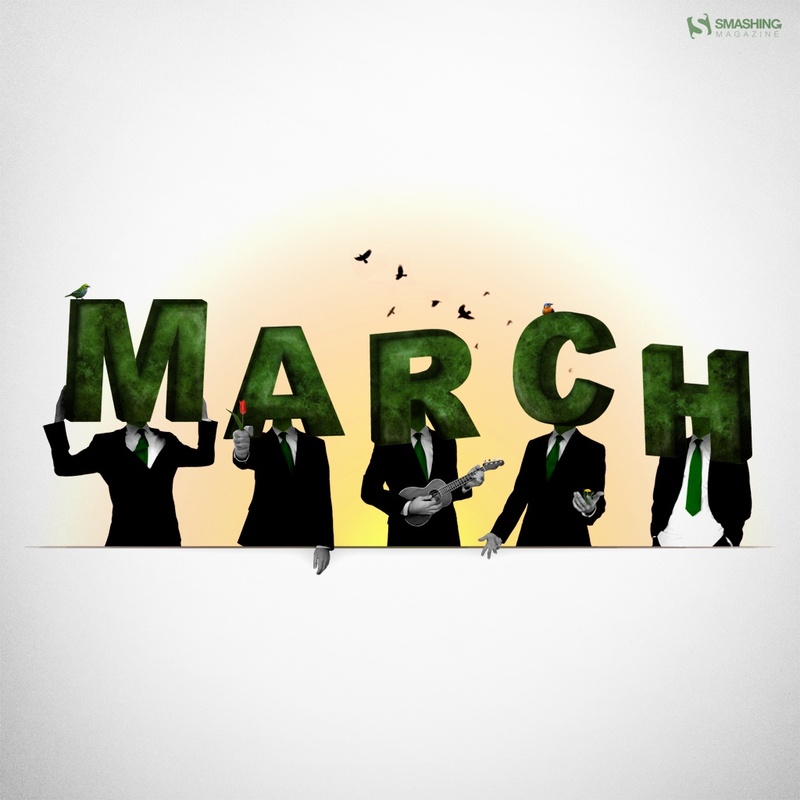 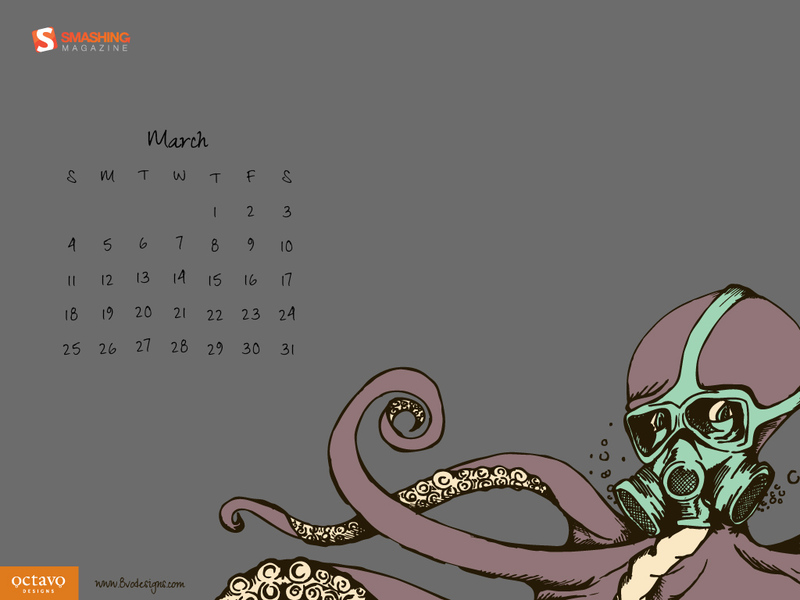 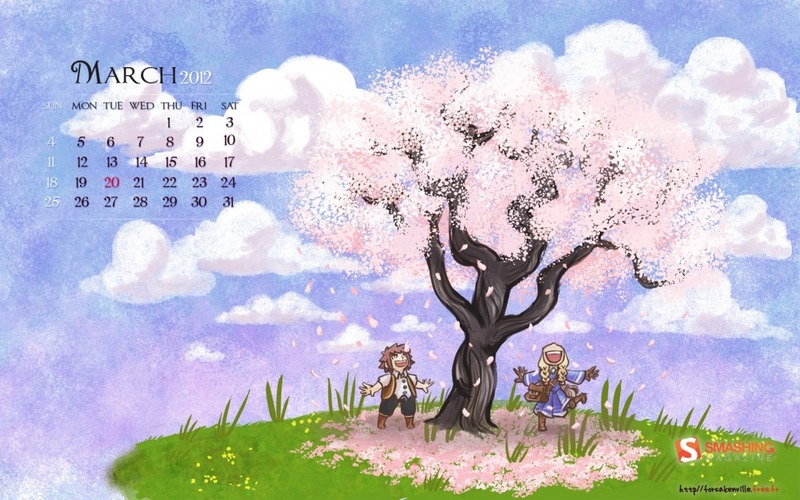 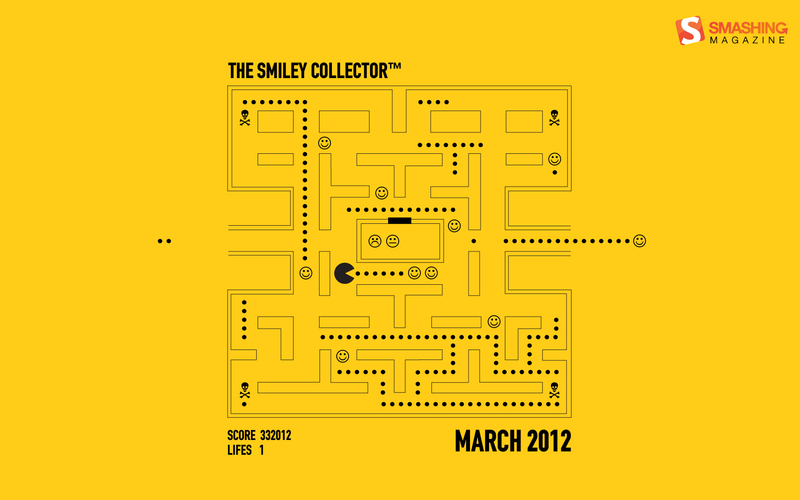 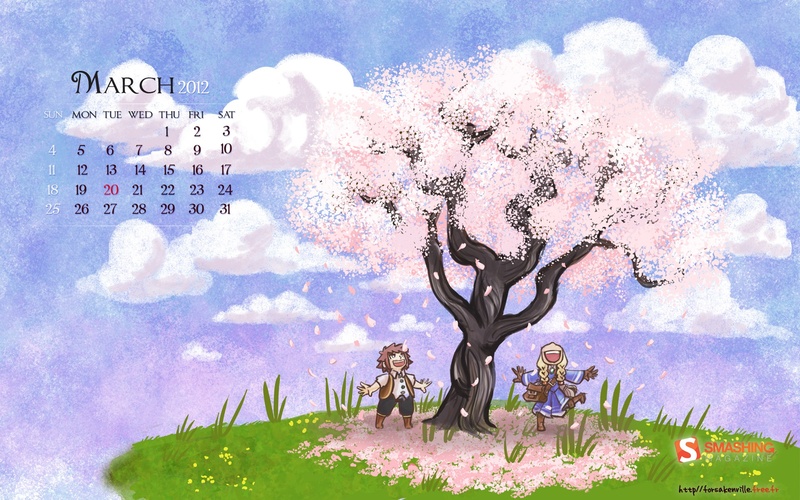 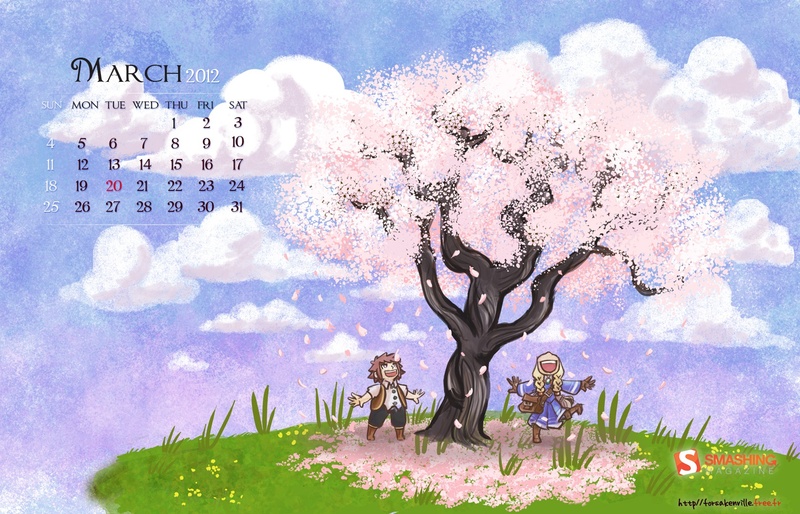 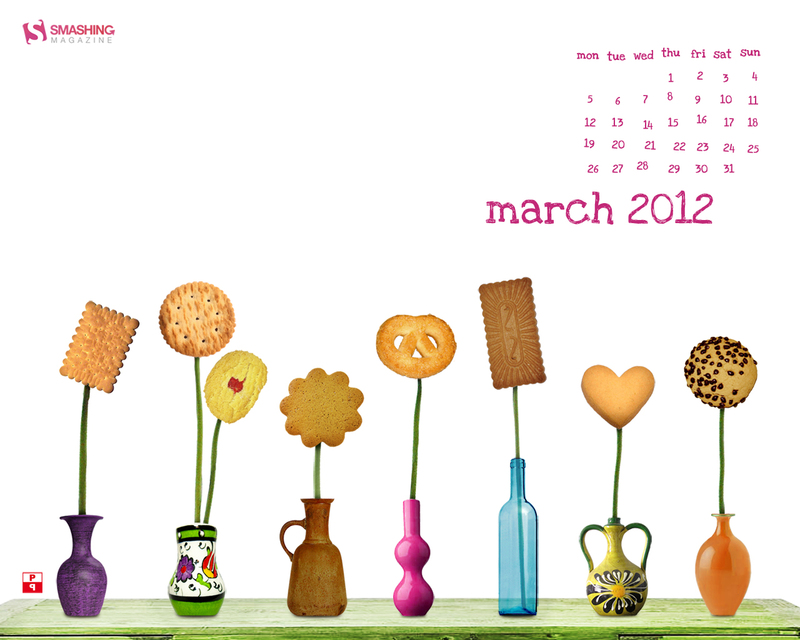 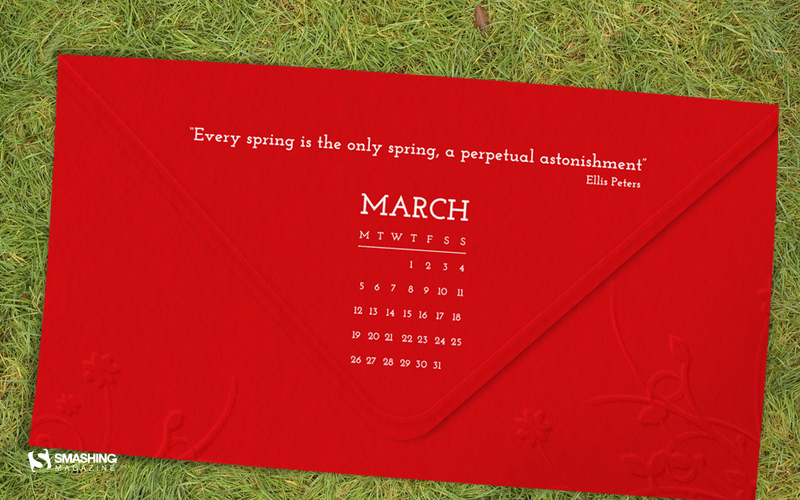 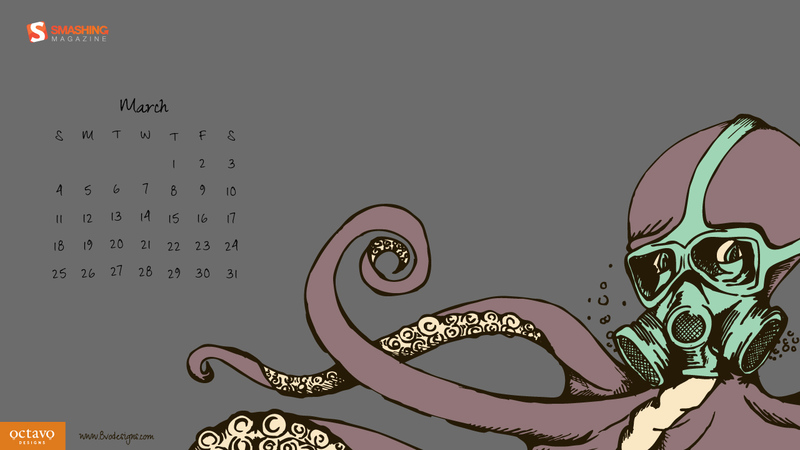 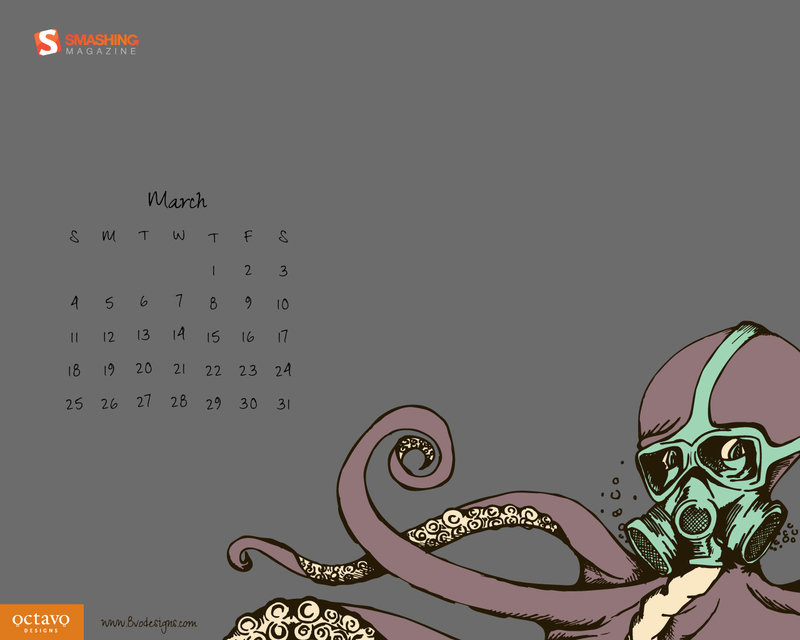 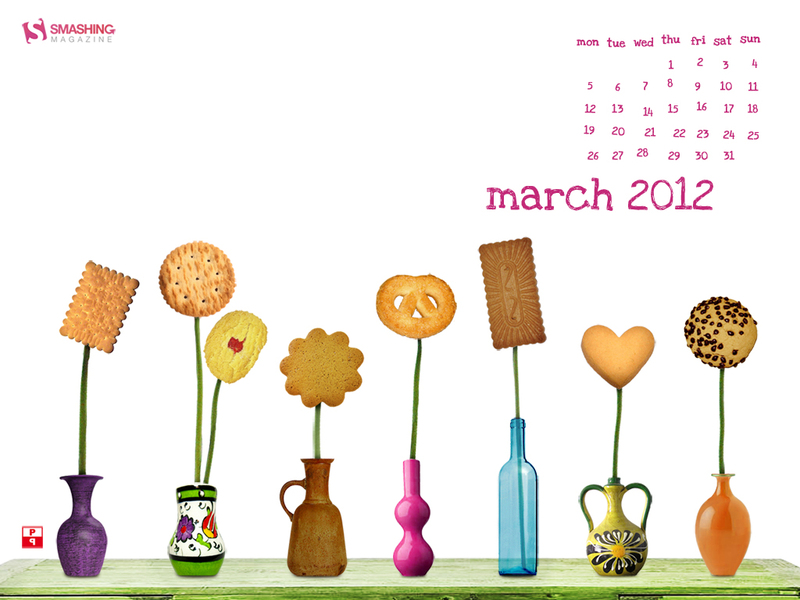 First day of Spring is marked in the calendar for you to remember :).” Designed by Naioo from Germany. 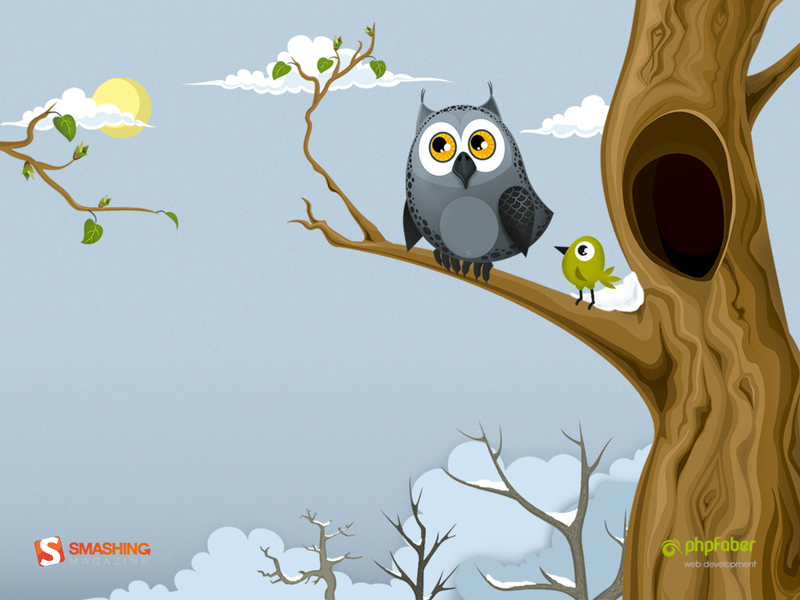 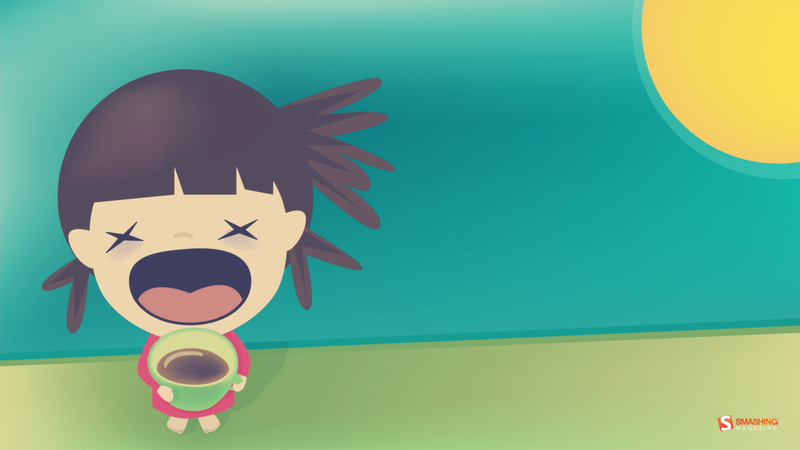 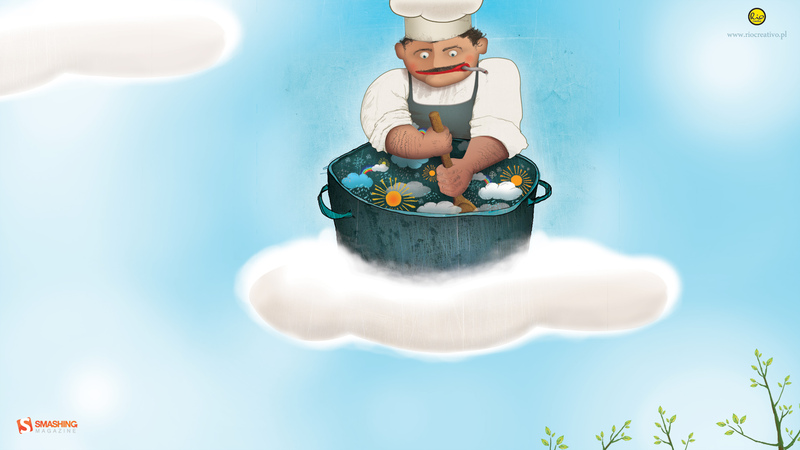 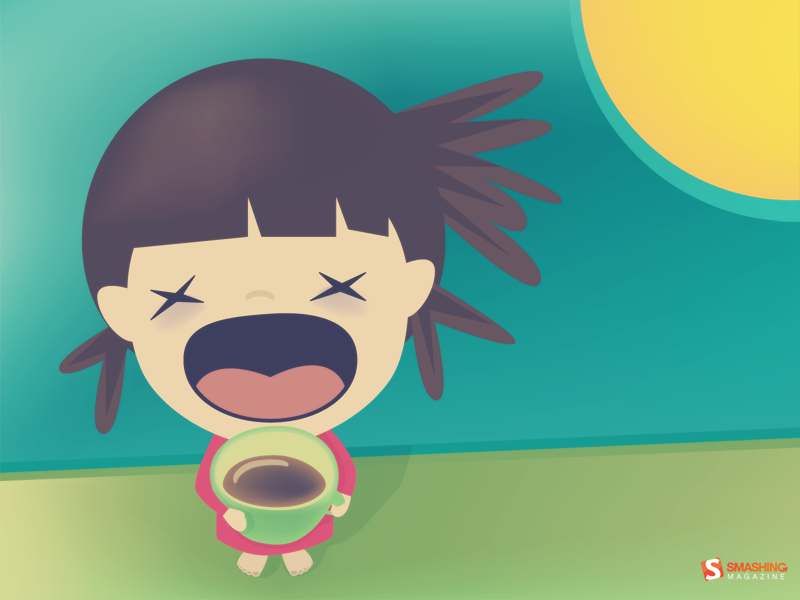 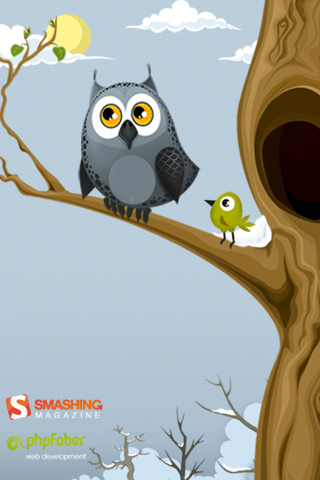 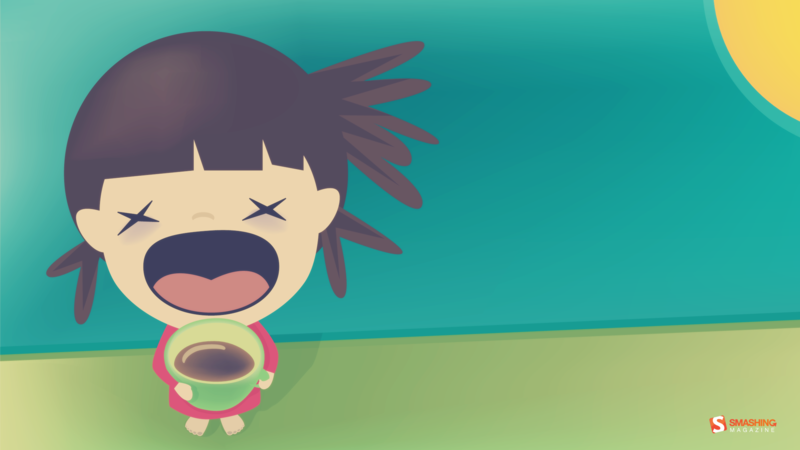 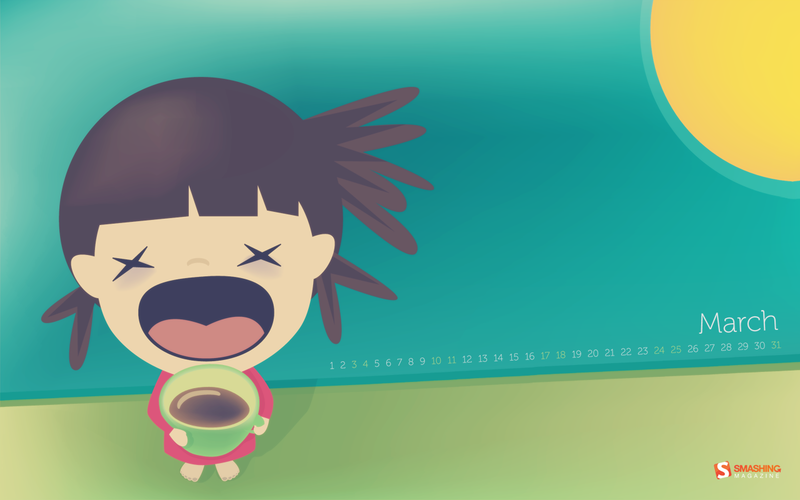 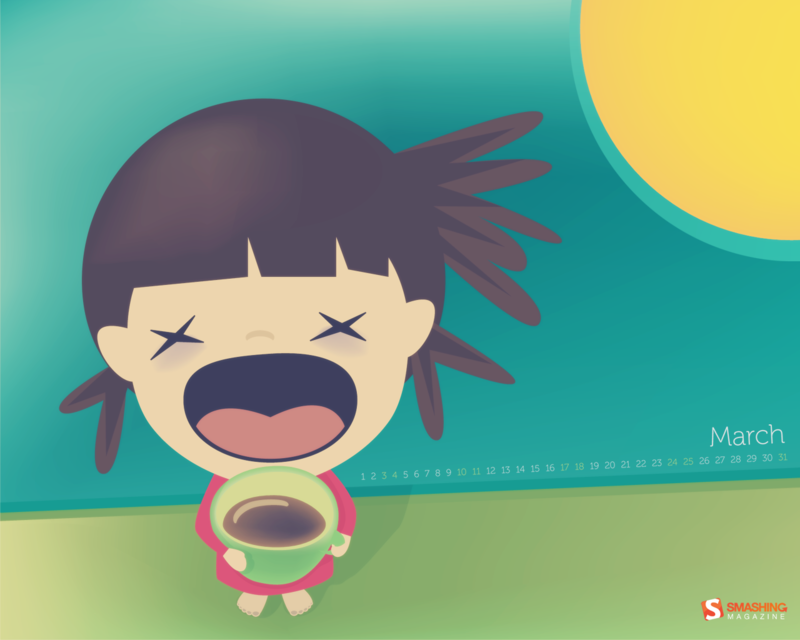 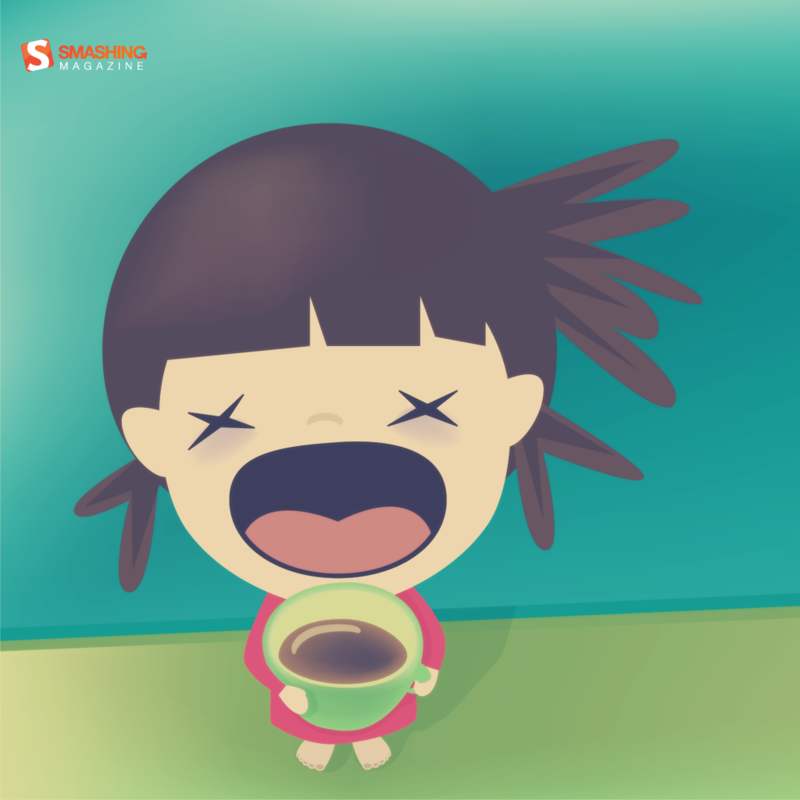 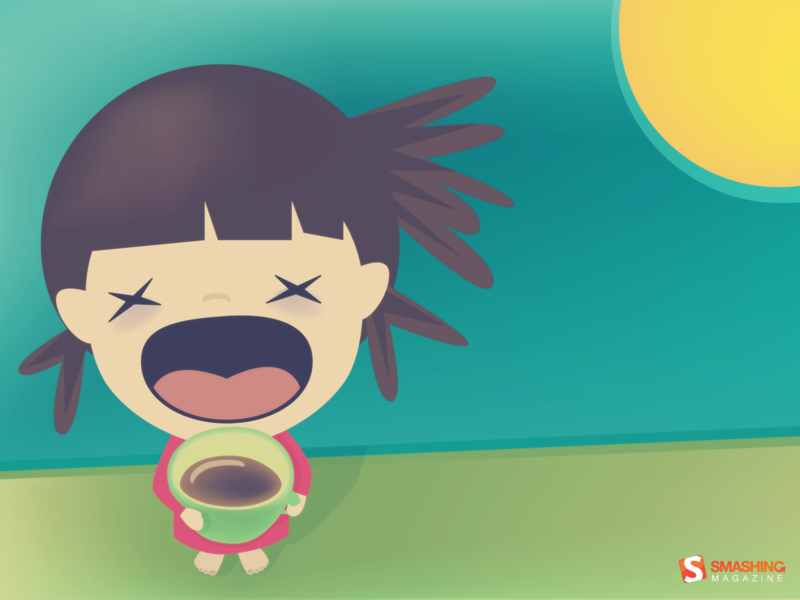 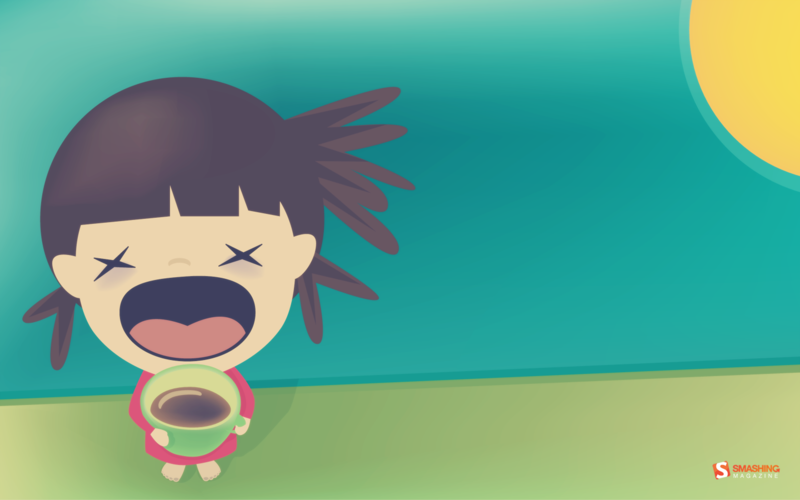 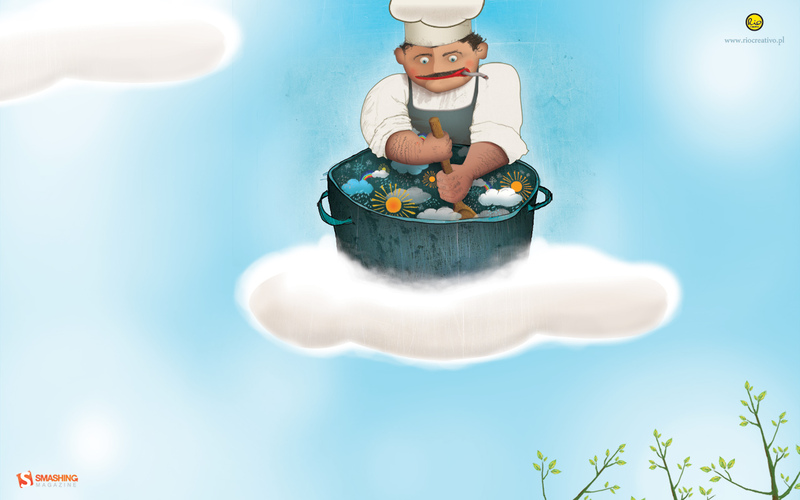 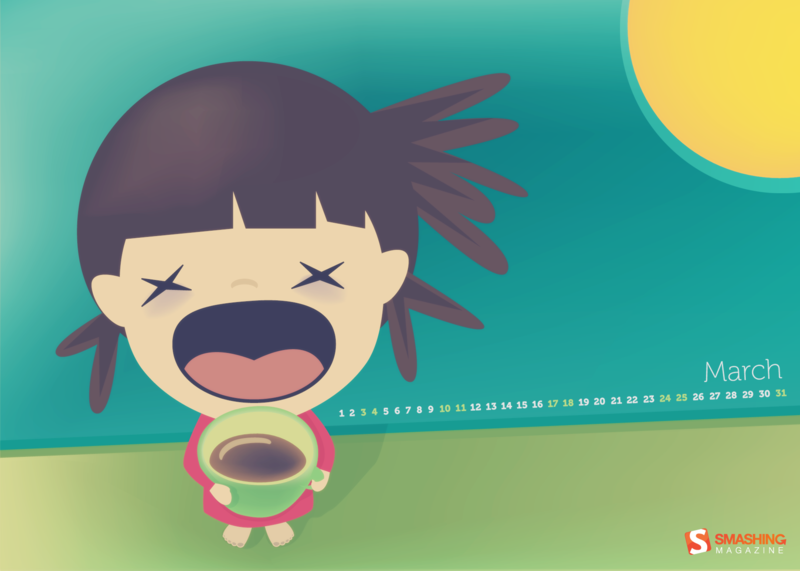 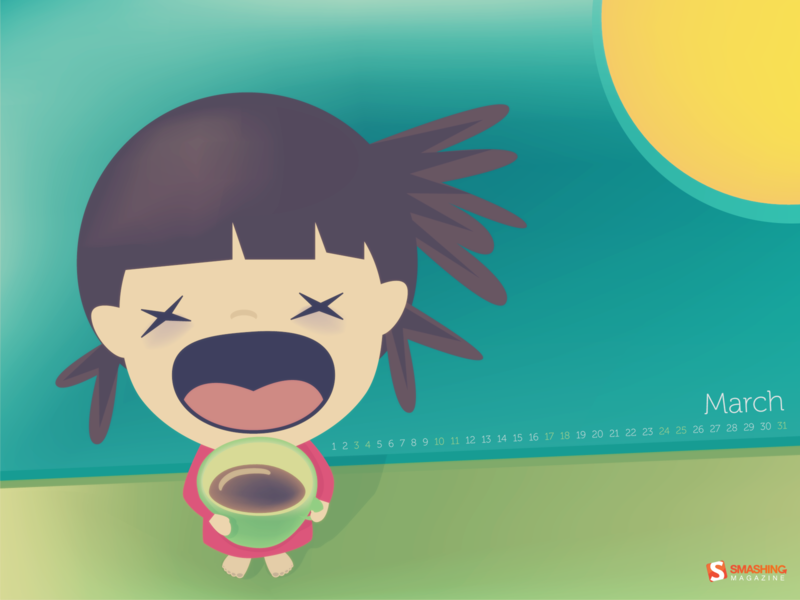 “Good morning!” Designed by Maja Bencic from Croatia. 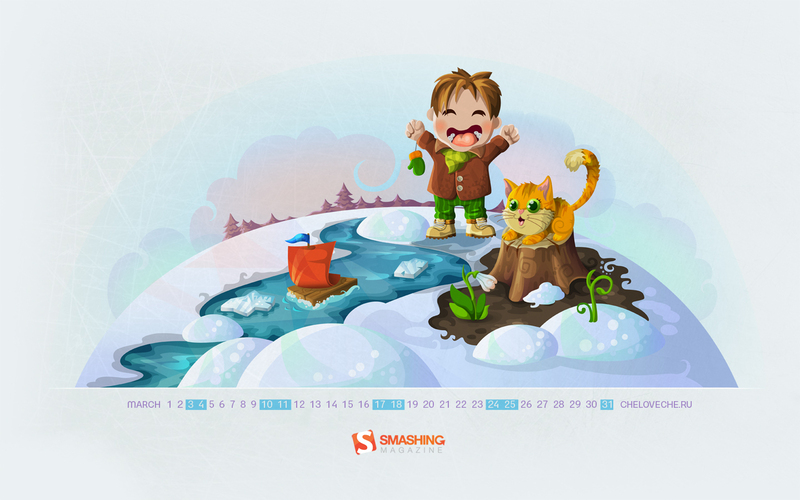 “A boy and a cat playing near the creek.” Designed by Cheloveche.ru from Russia. 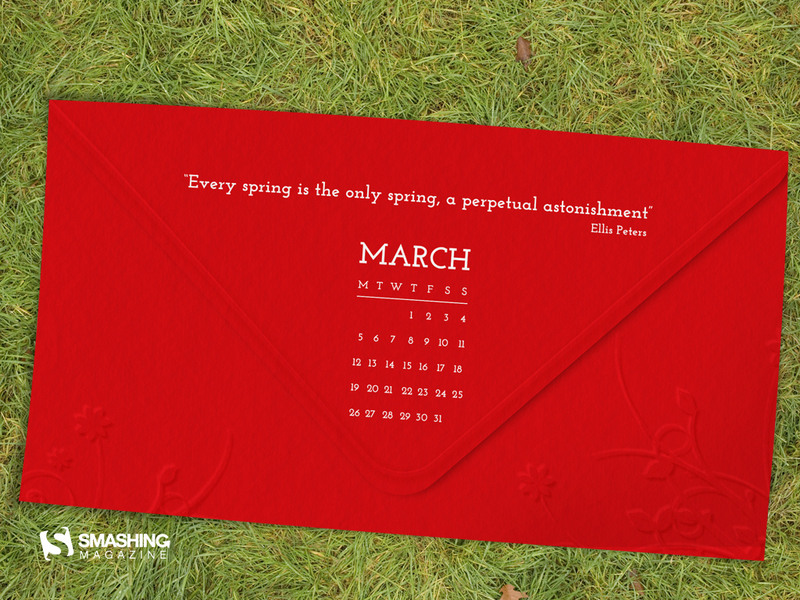 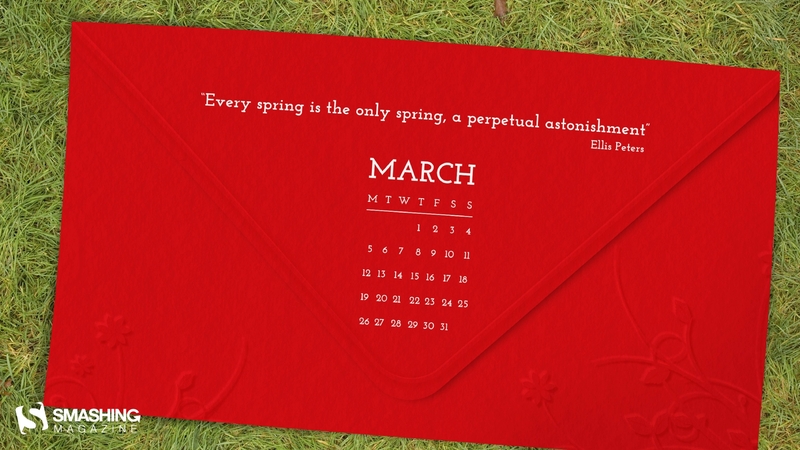 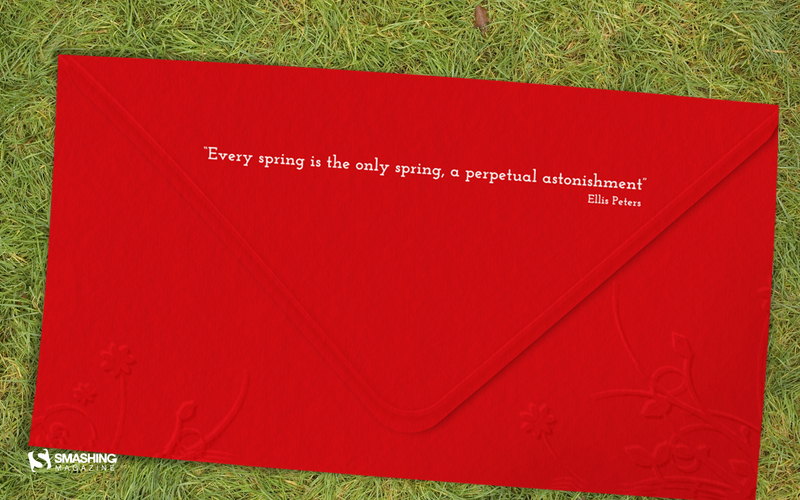 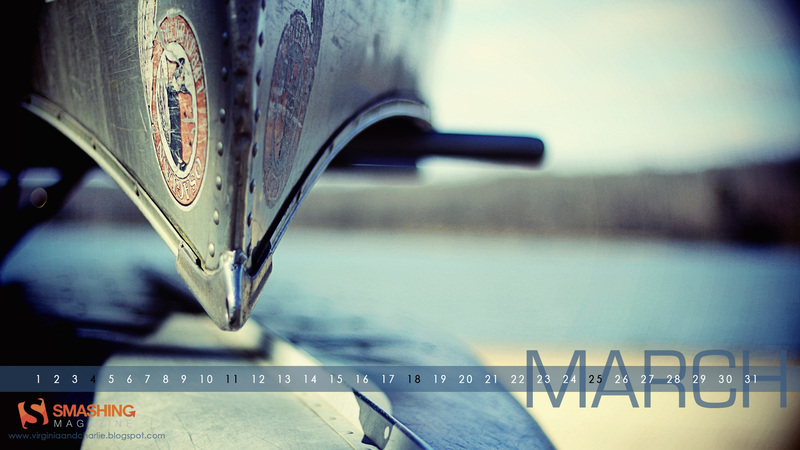 “My calendar represents a dropped letter from spring who is leting us know that she is arriving and soon enogh. 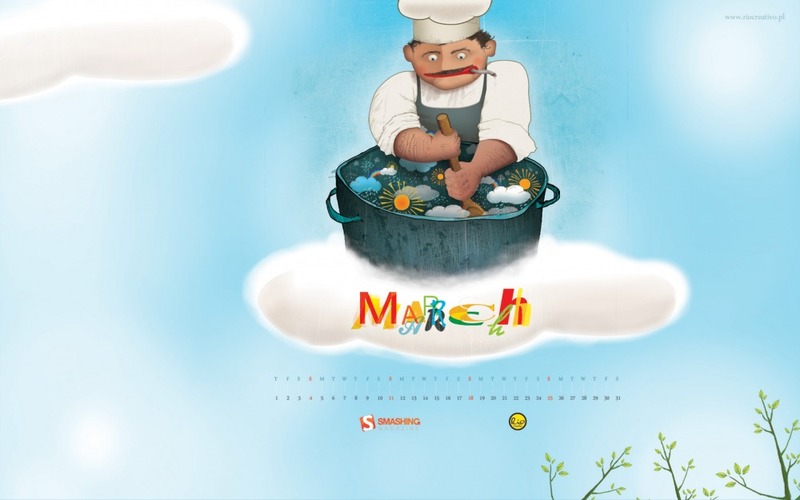 I chose the colors red and white because in Romania are some traditions related to this colors for the month of March.” Designed by Miclaus Andreea from Romania. 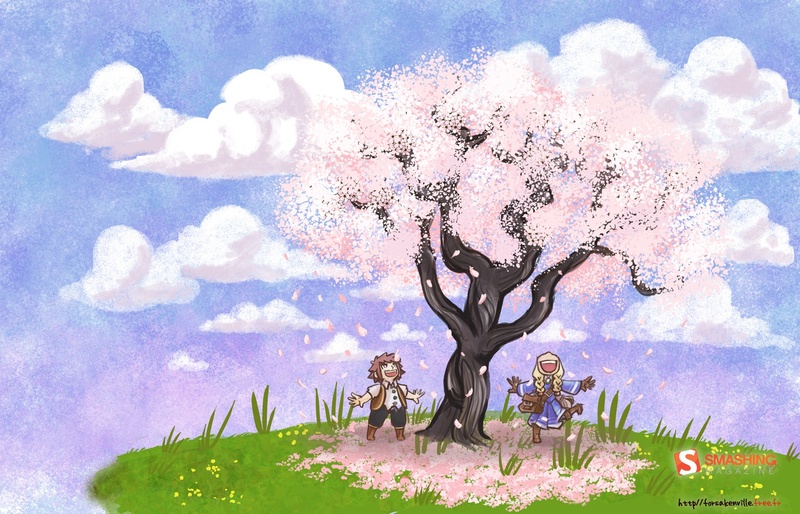 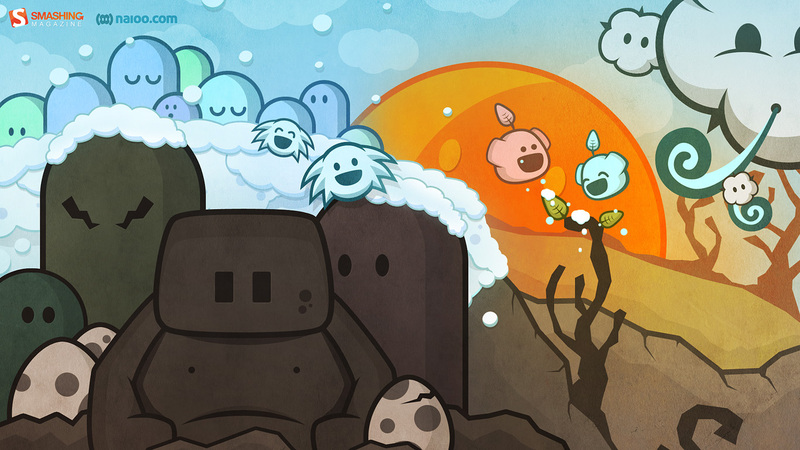 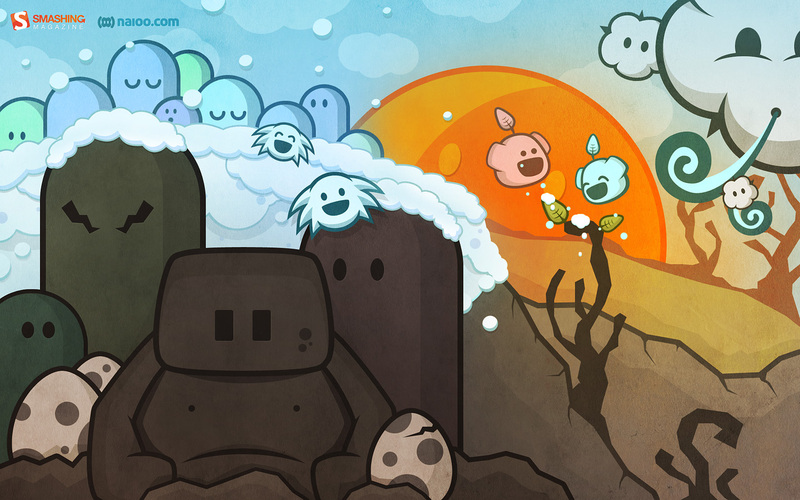 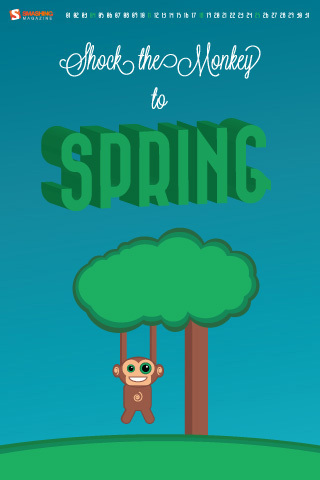 “Springtime!” Designed by Kris Koubaddy from USA. 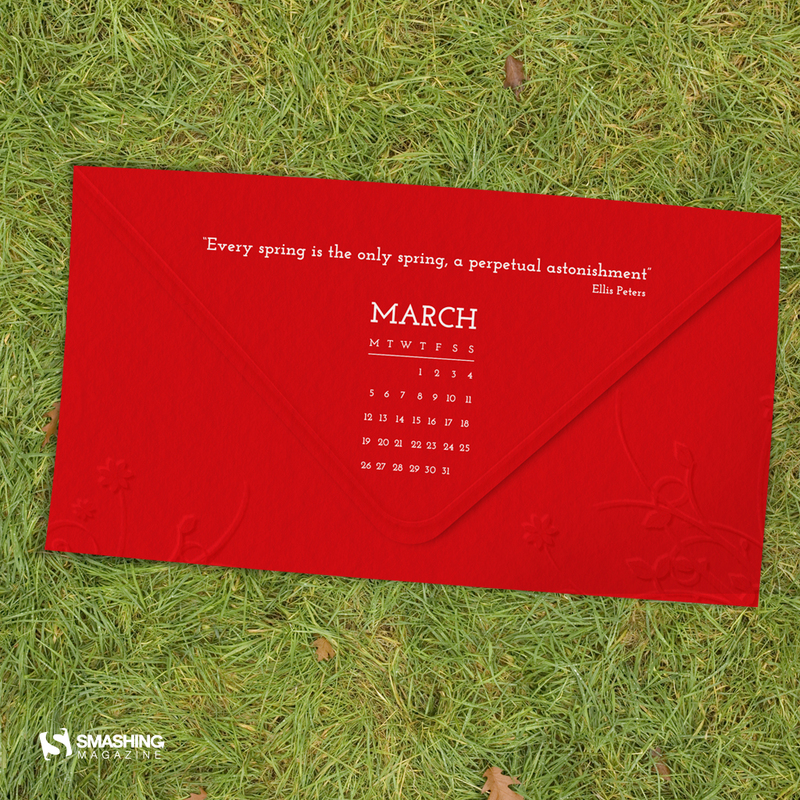 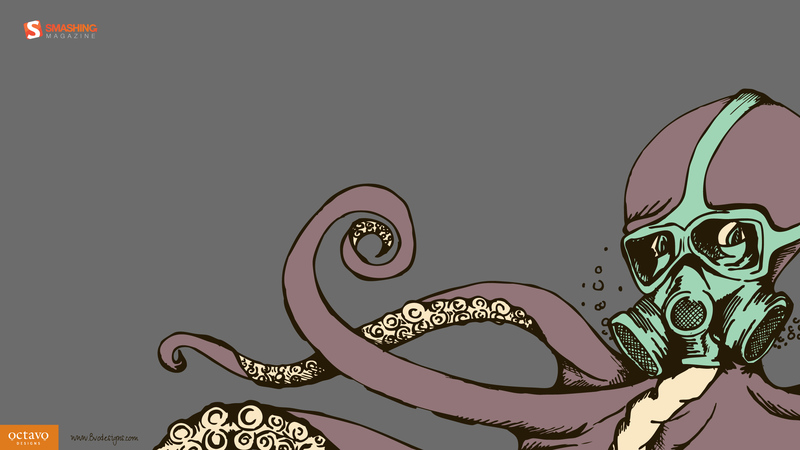 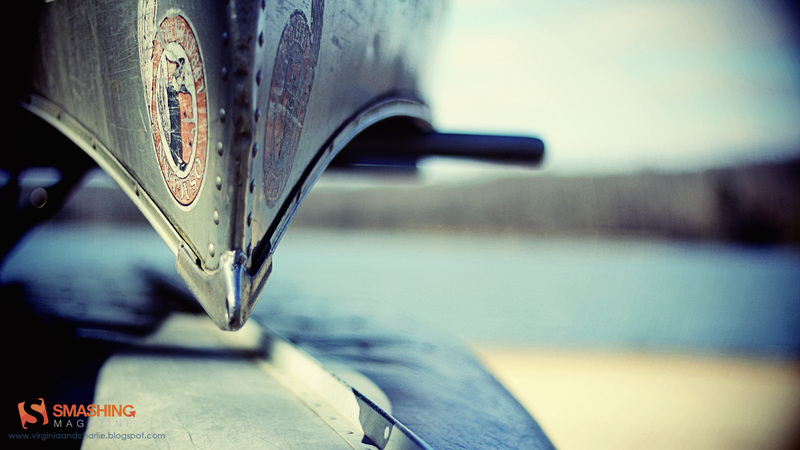 Designed by Octavo Designs from USA. Designed by Michal Michno from Poland. 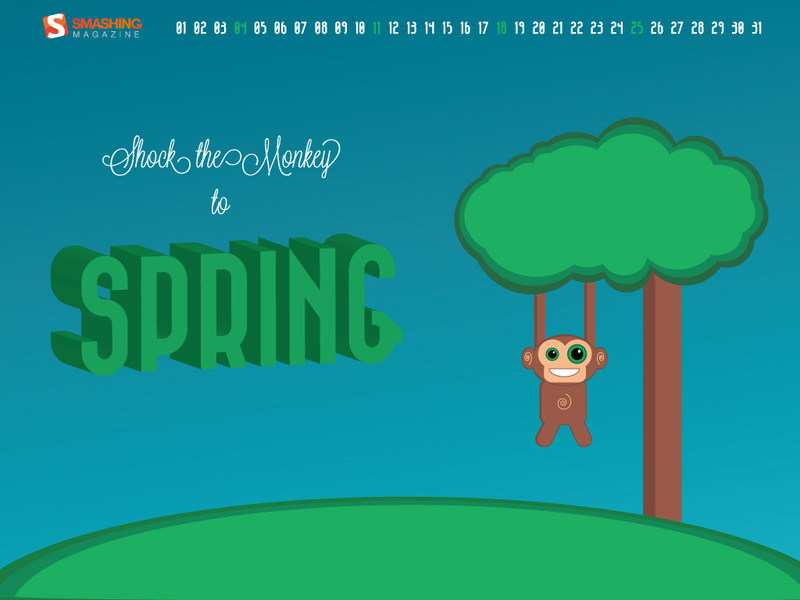 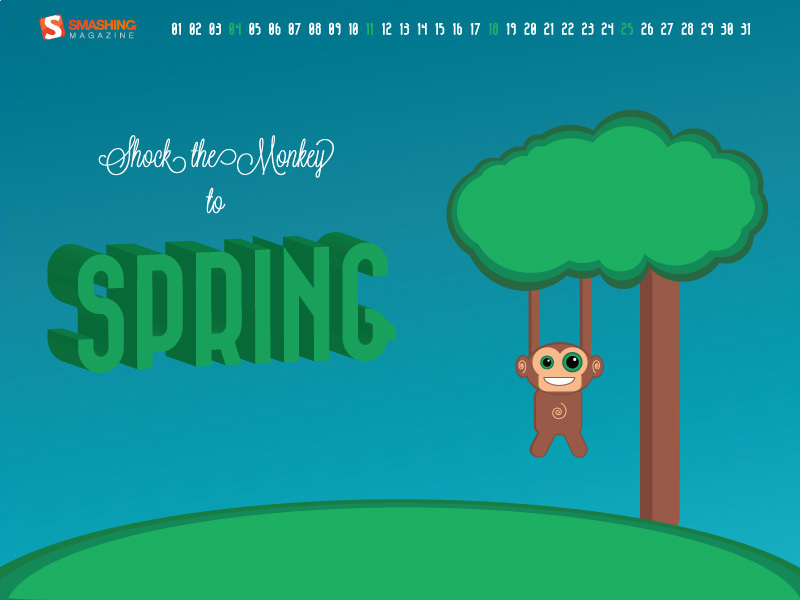 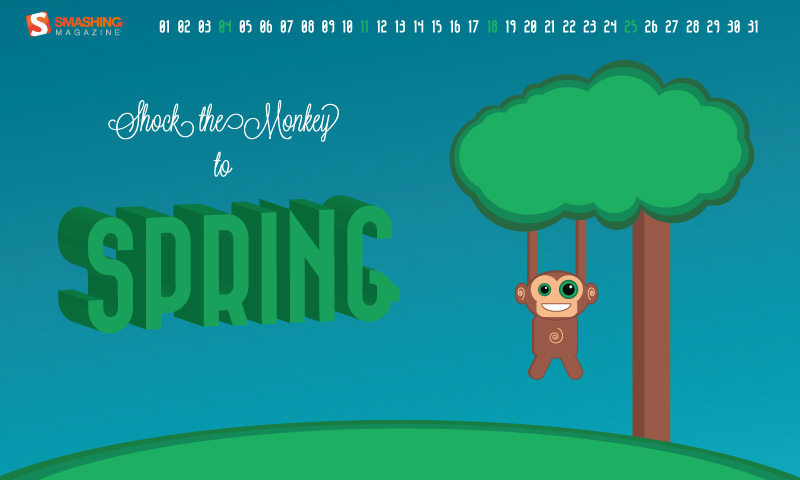 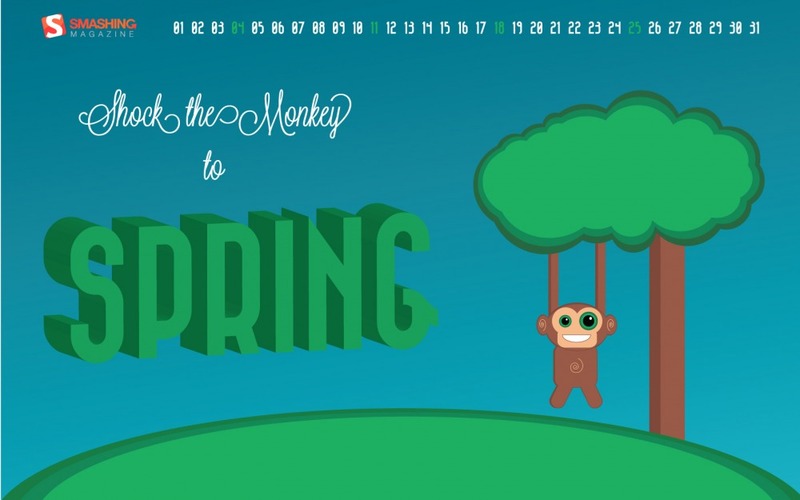 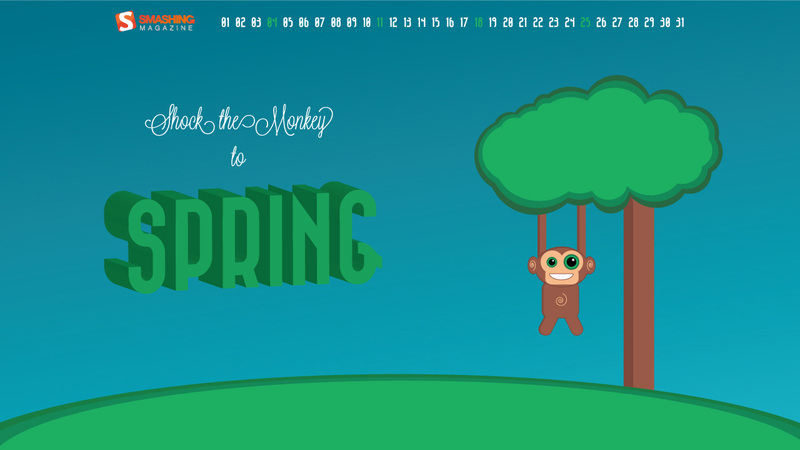 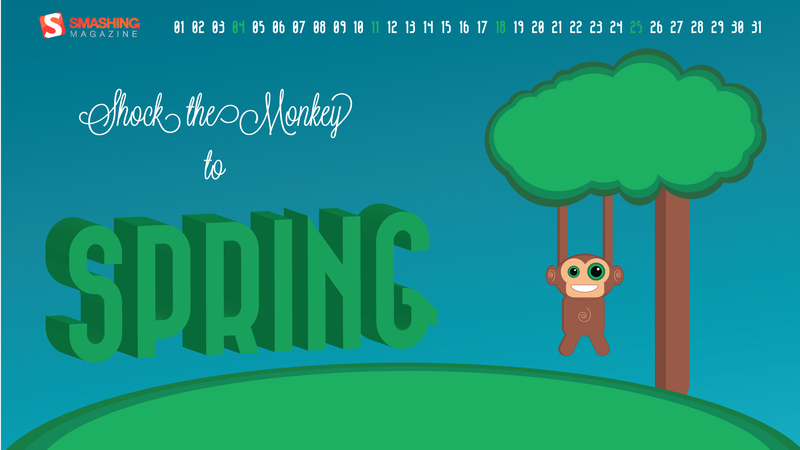 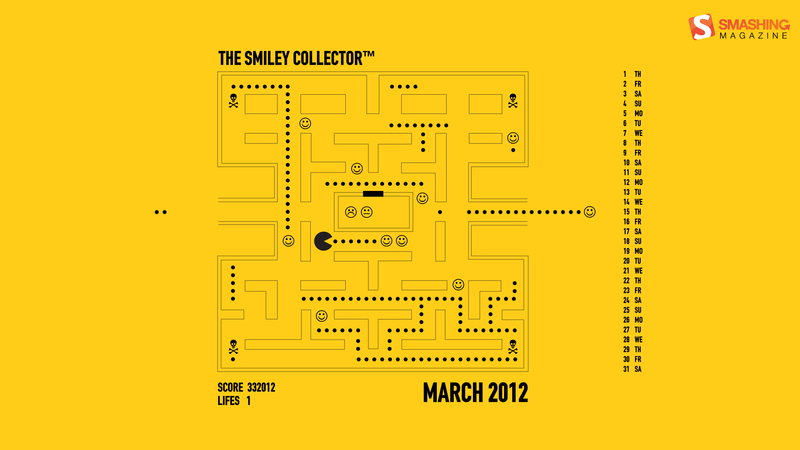 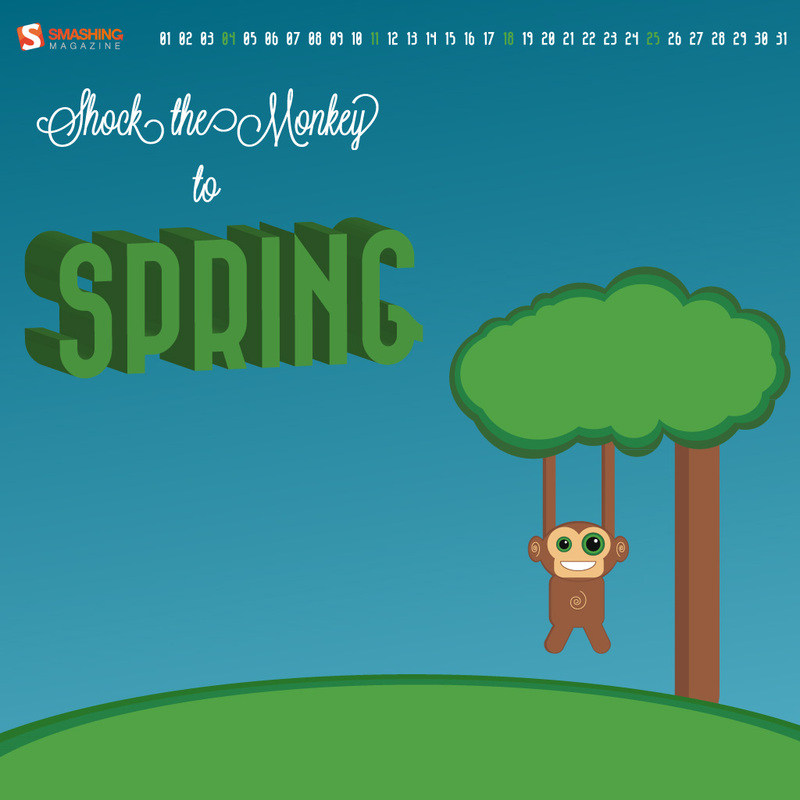 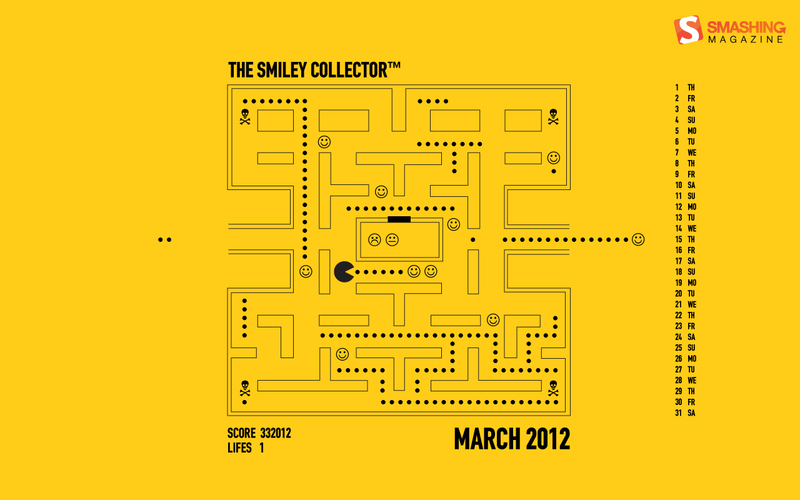 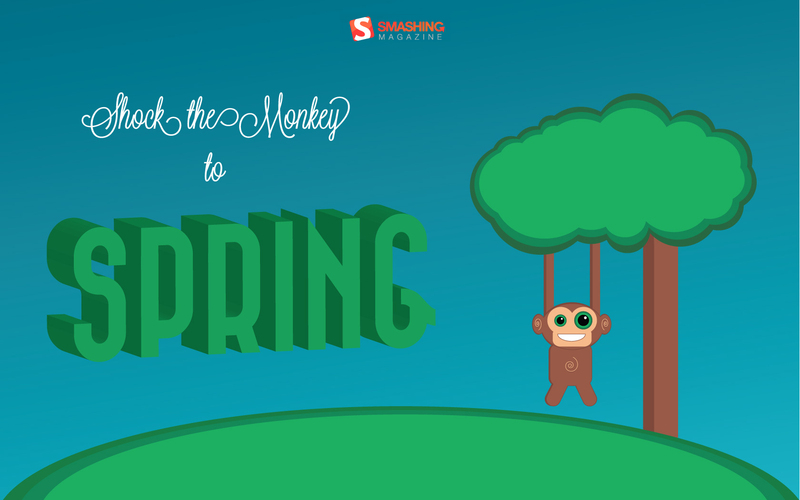 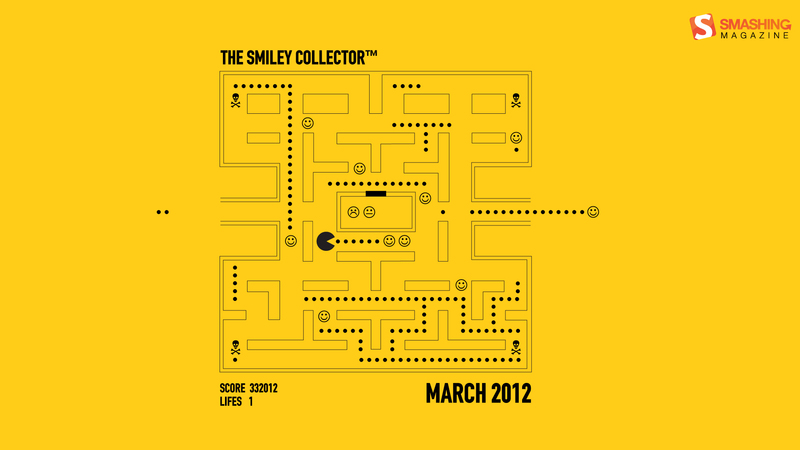 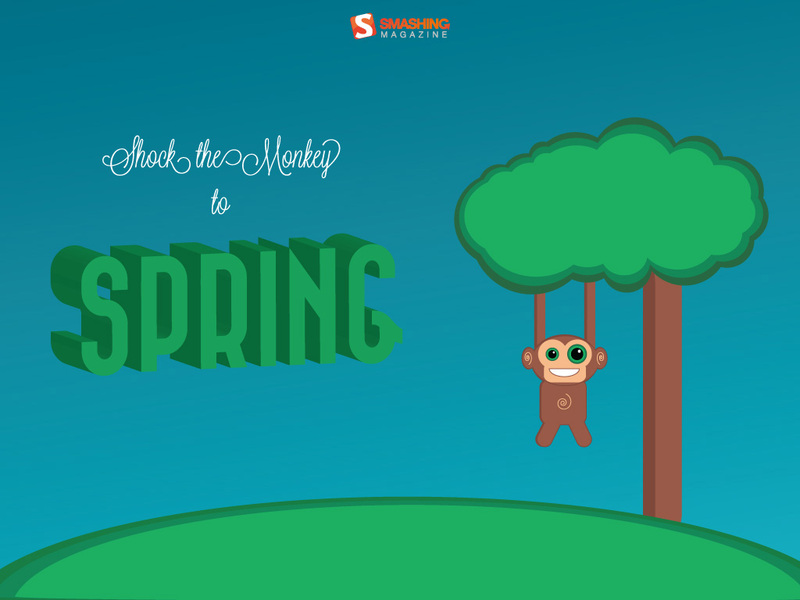 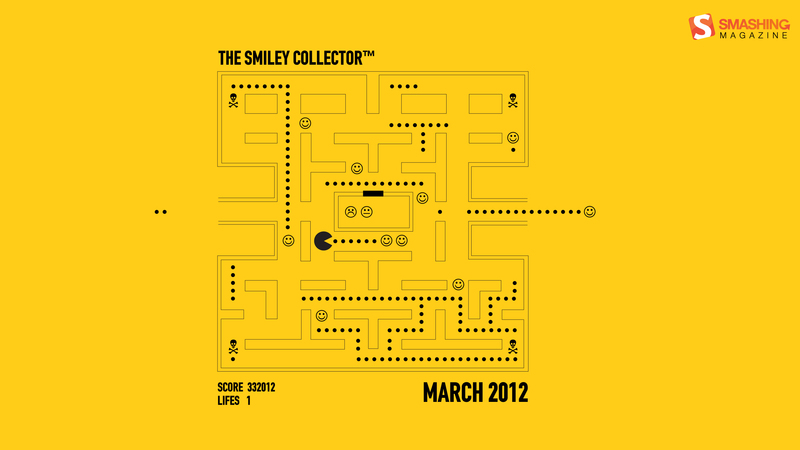 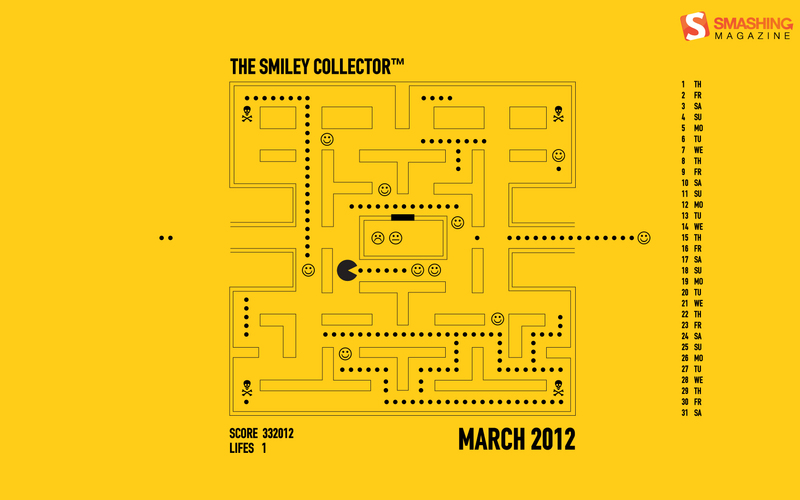 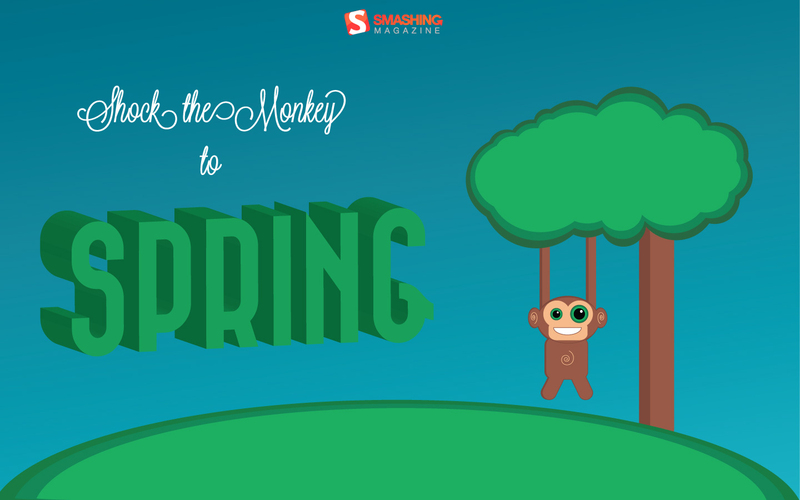 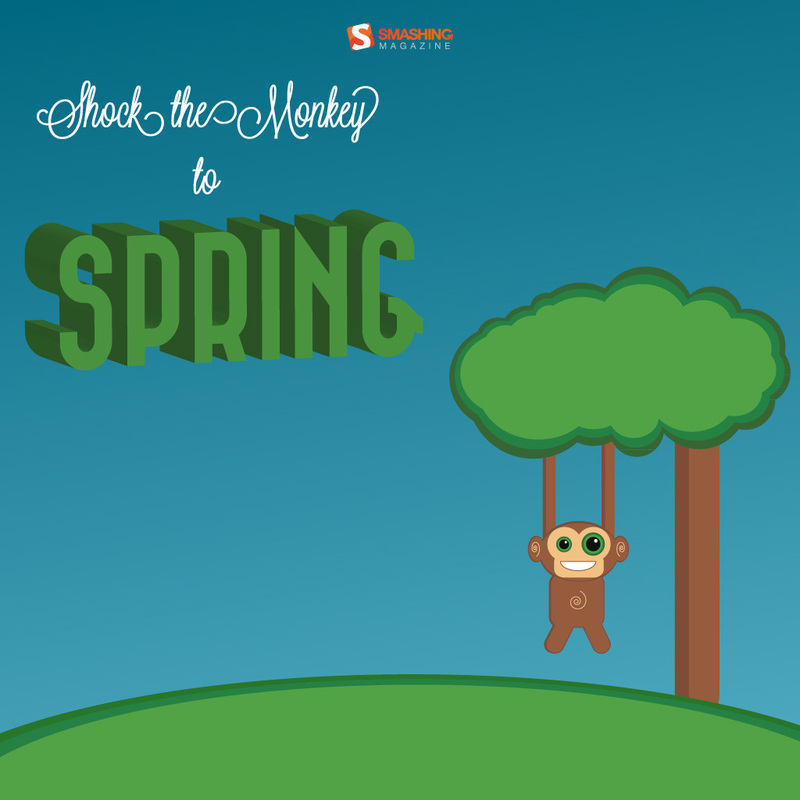 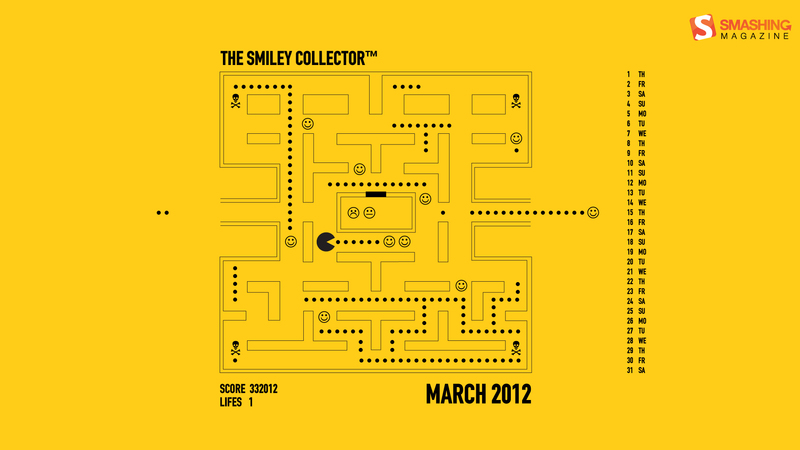 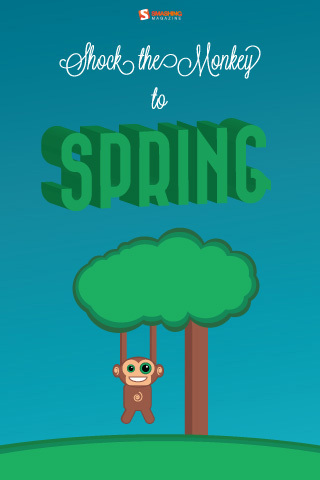 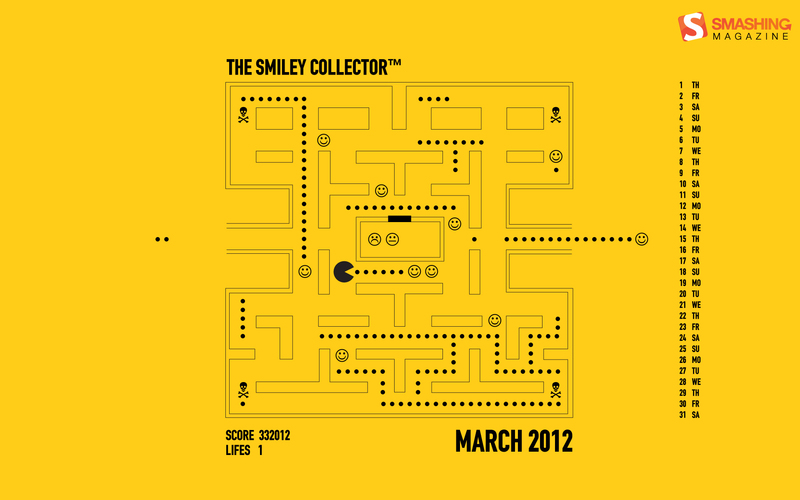 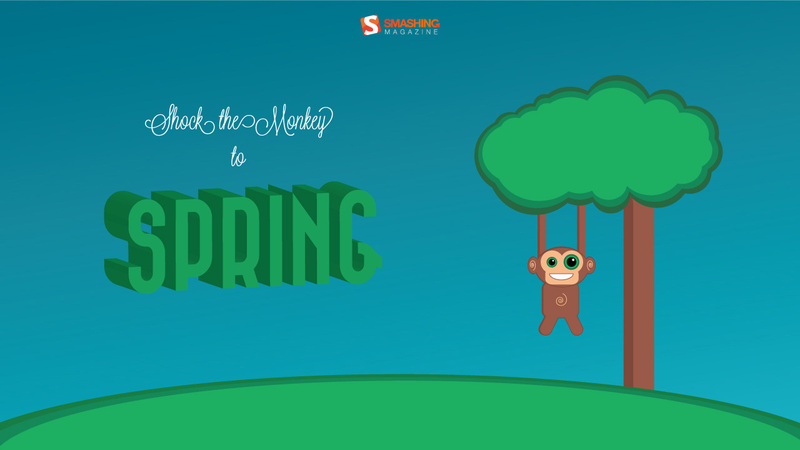 “Shock the monkey to spring.” Designed by Riccardo Salucco from Italy. 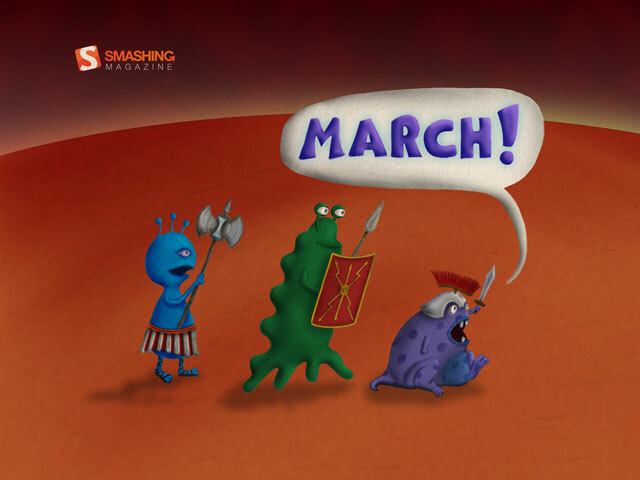 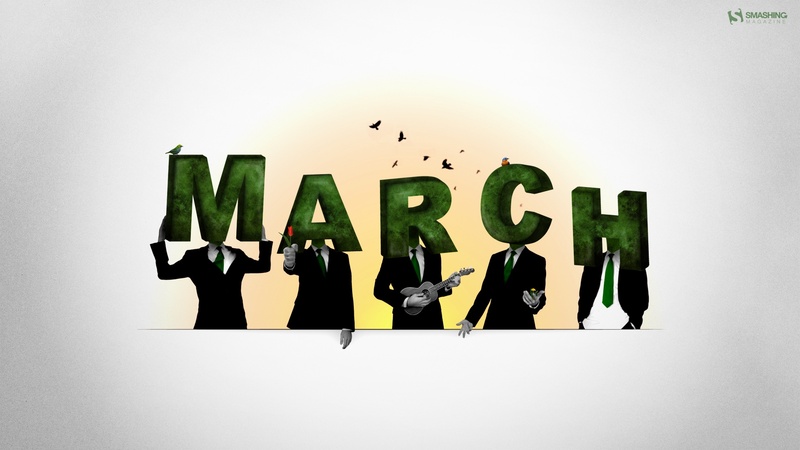 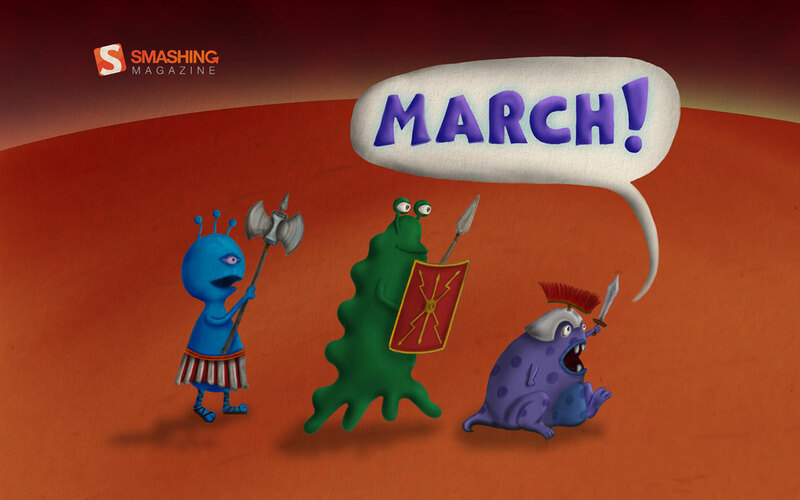 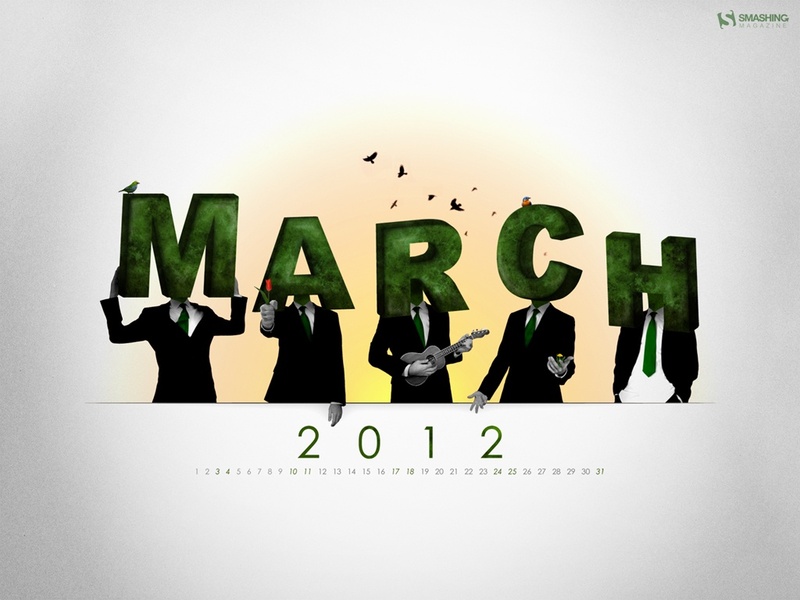 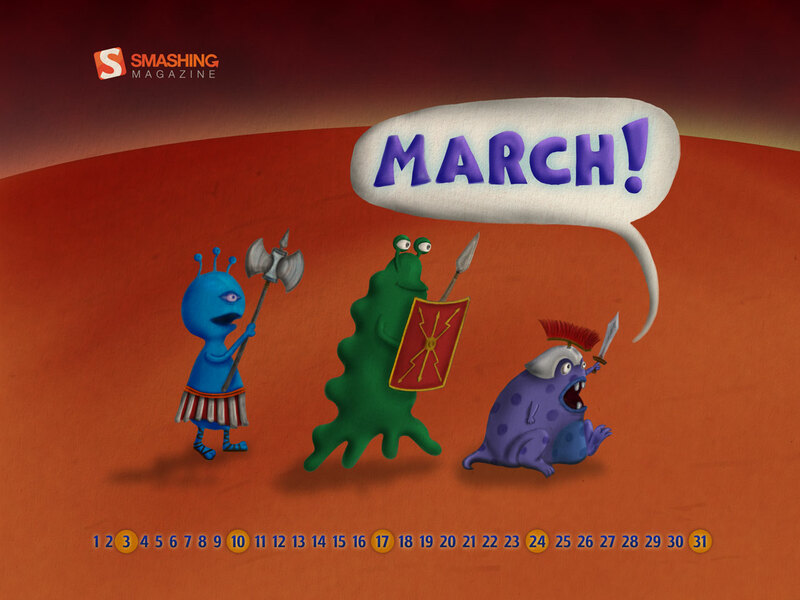 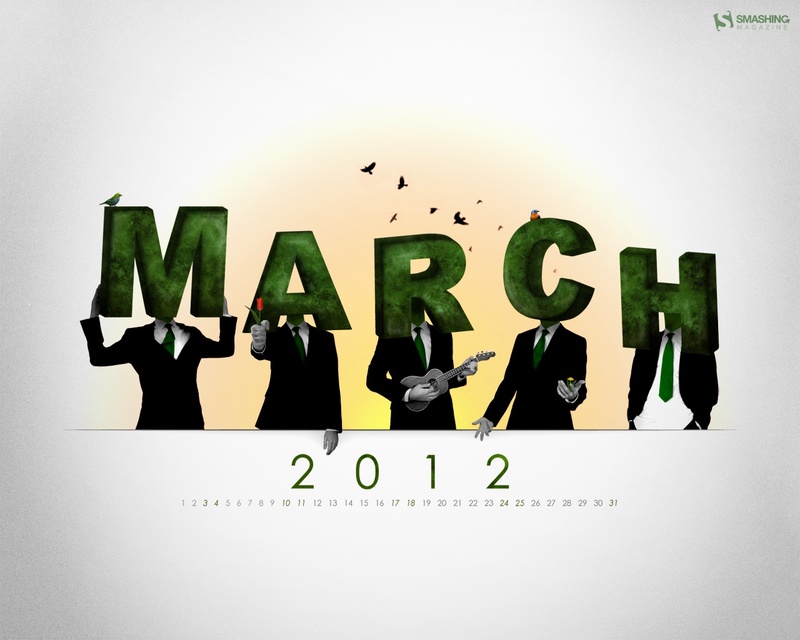 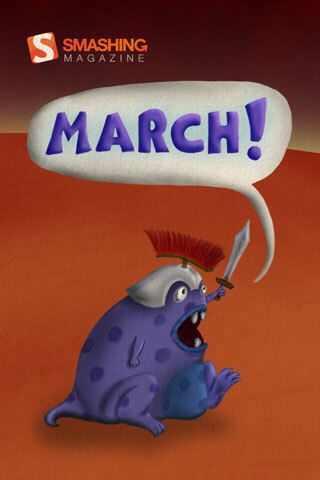 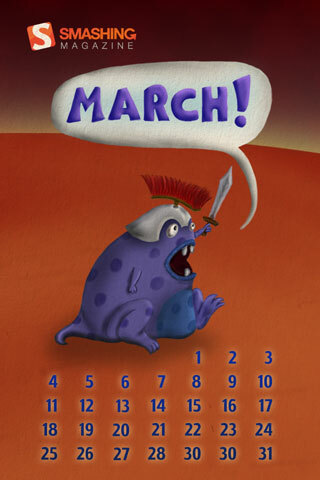 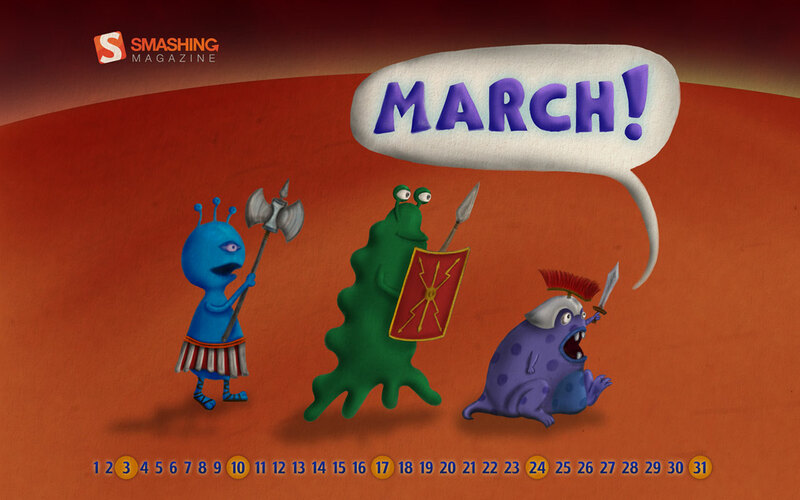 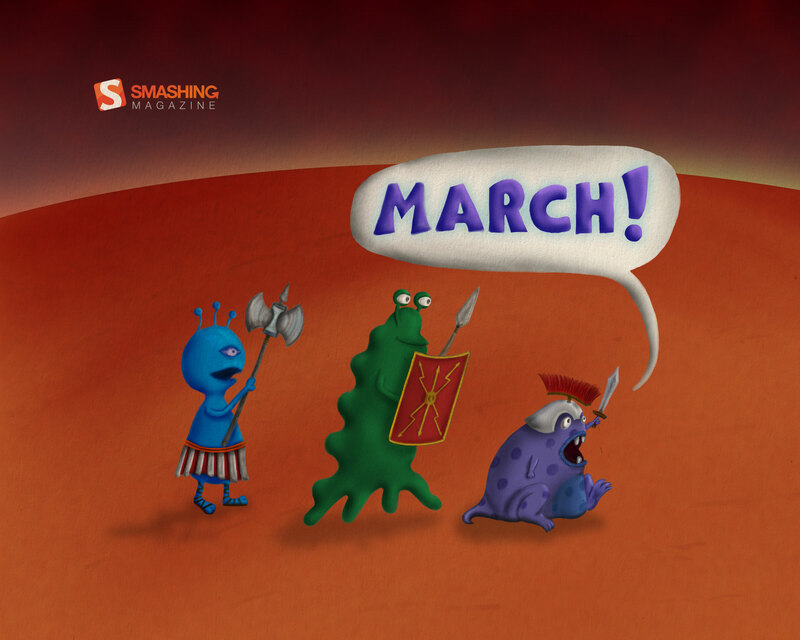 “Mars, Martians and marching, all joined together in this wallpaper.” Designed by Ron Gilad from Israel.